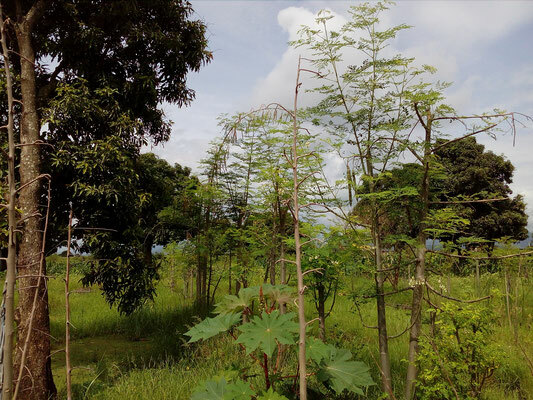 July 2018: "A real Lablab forest!" 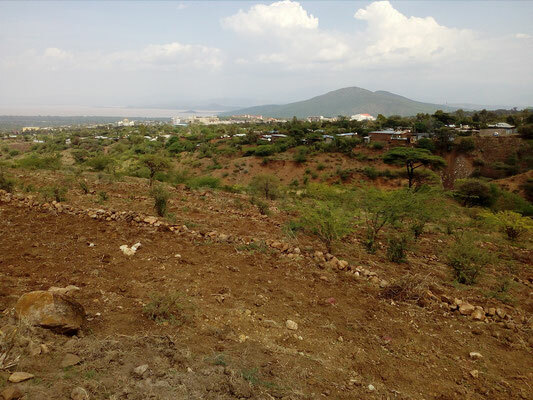 according to care-taking guard Ato Asfaw Anko (bottom picture). 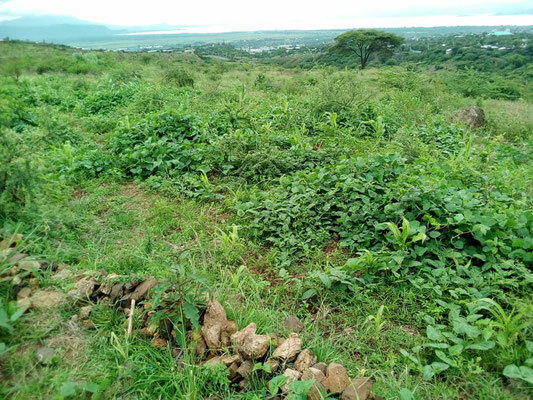 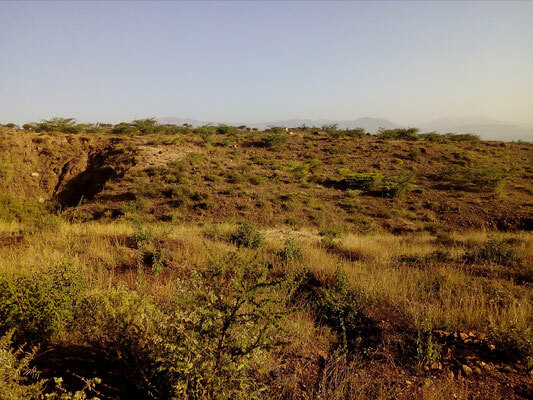 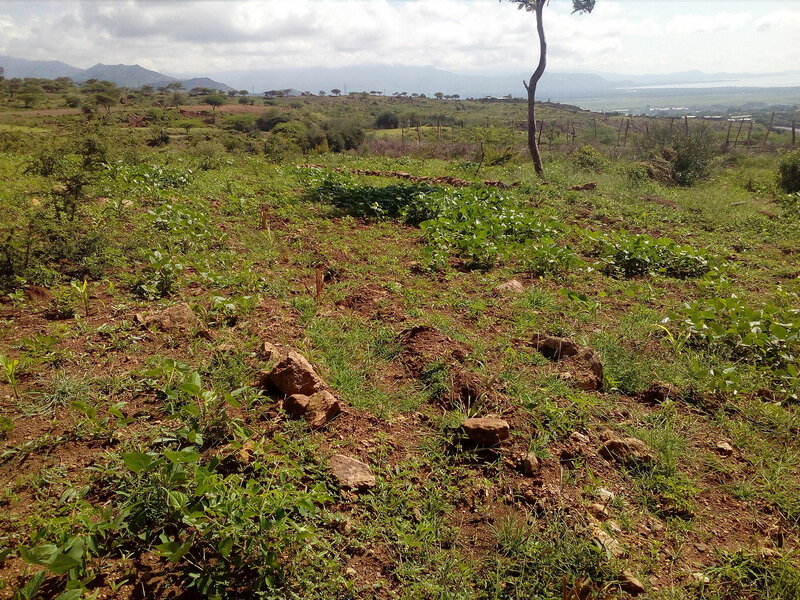 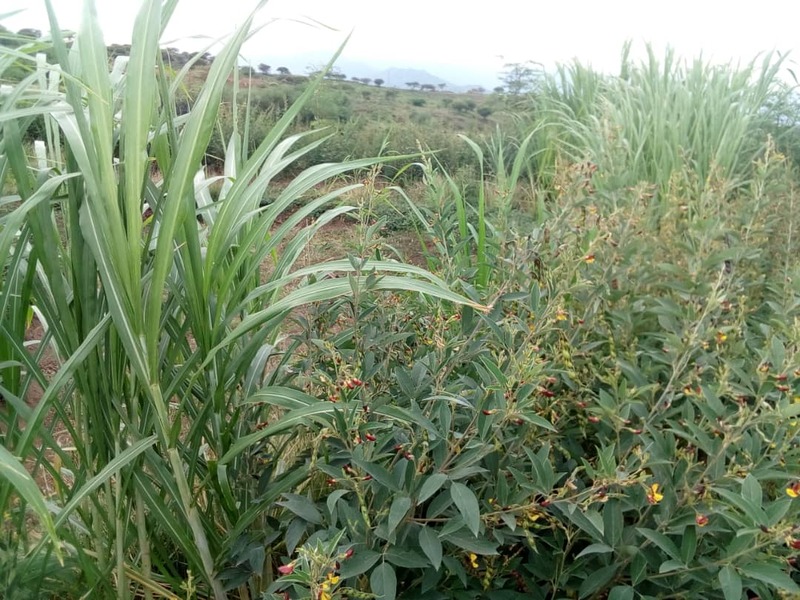 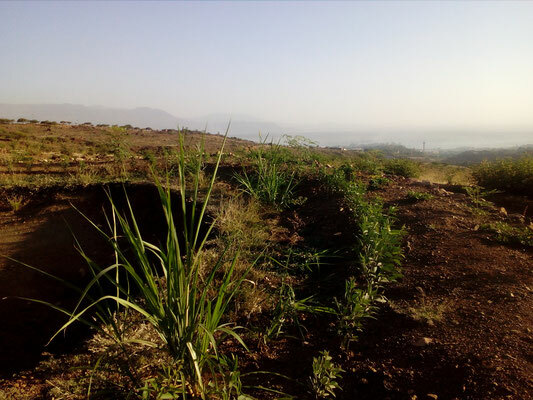 In comparison, natural vegetation, free from grazing animals (top picture) in the project site of Slope Farming in Arba Minch, Ethiopia. 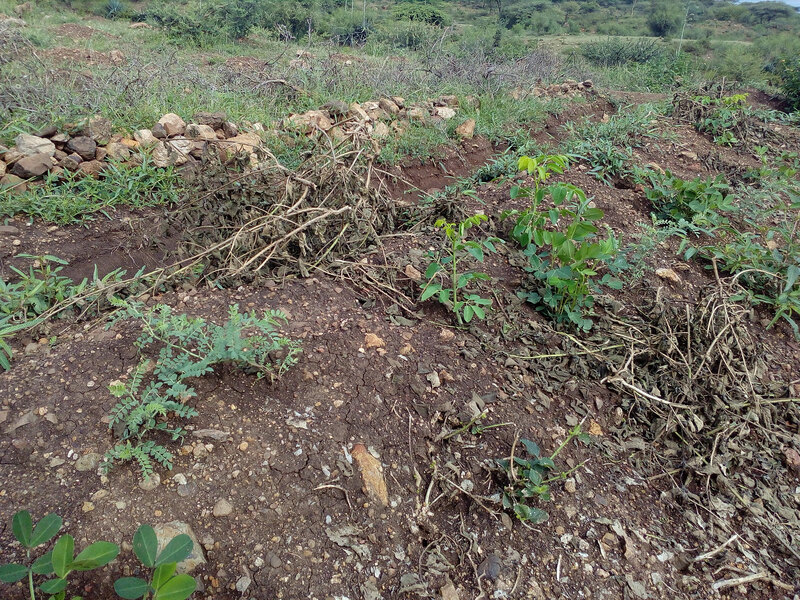 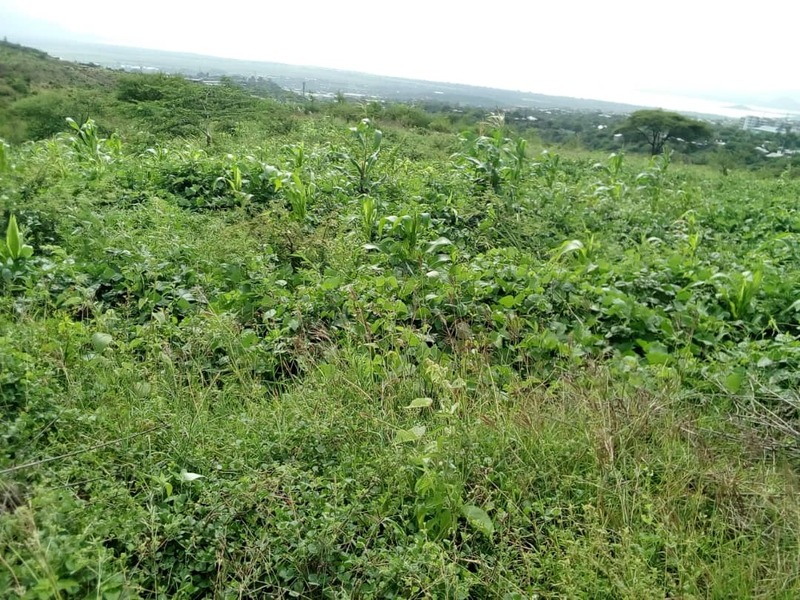 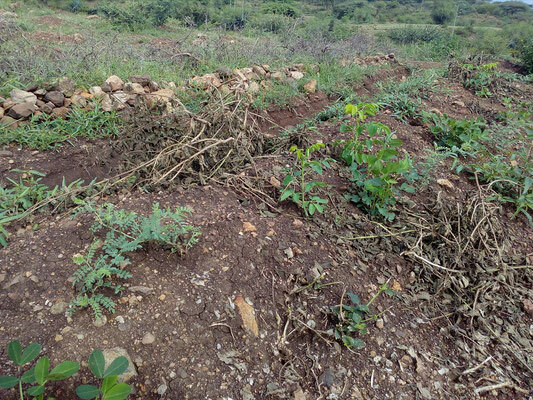 July 2018: After some struggeling months with many drawbacks, we finally are able to protect the area from free-ranging goats and other animals, which otherwise would again destroy the newly emerged vegetation. 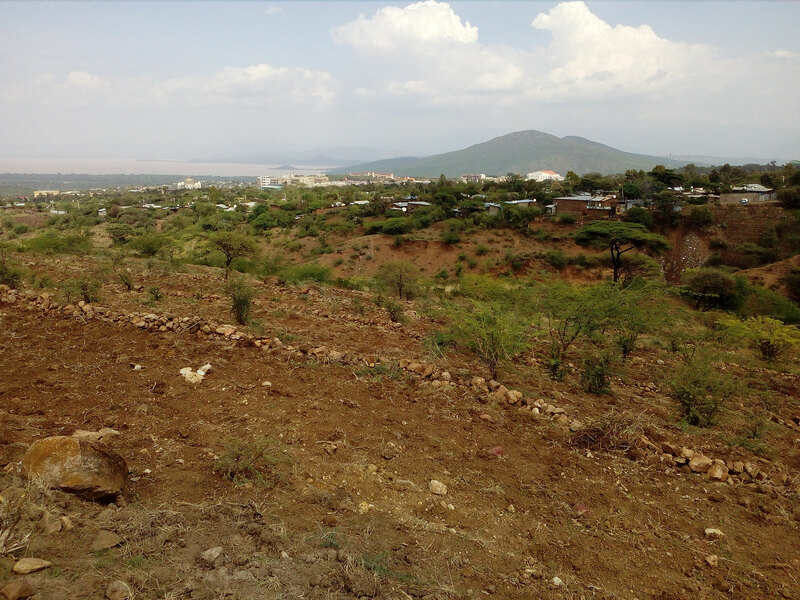 Many thanks to Ato Asfaw and Ato Daniel for their loyal work and for the support of the Arba Minch Town Municipality! 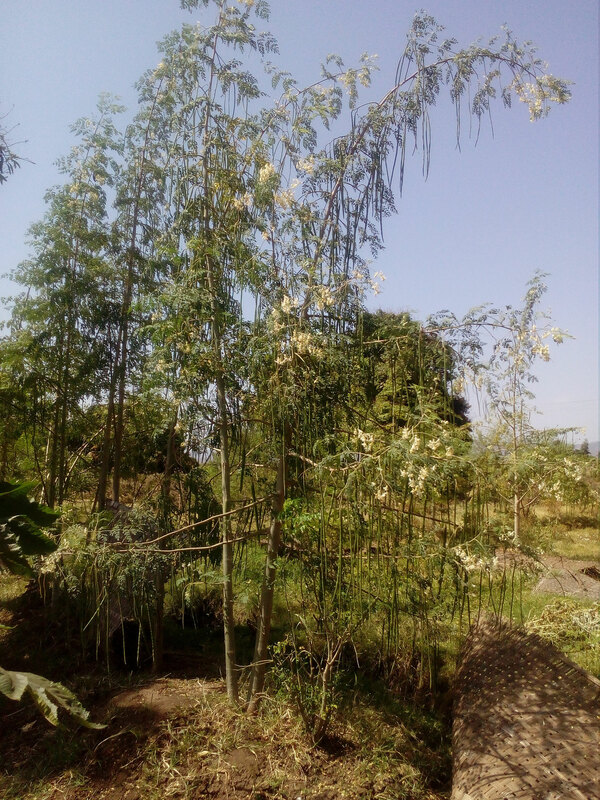 As the plants are growing now, we ultimately plan to also distribute feed material from our project site to sourrounding neighbours, who are actively now herd their animals - for the sake to their environment of Arba Minch Region and Ethiopia! 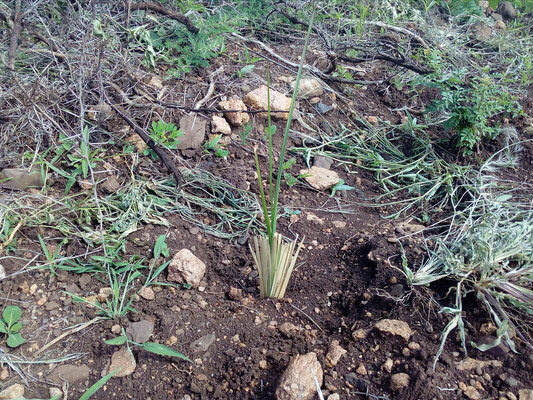 June 2018: The plants develop nicely, already a distinctive, visible change of the plant community was facilitated. 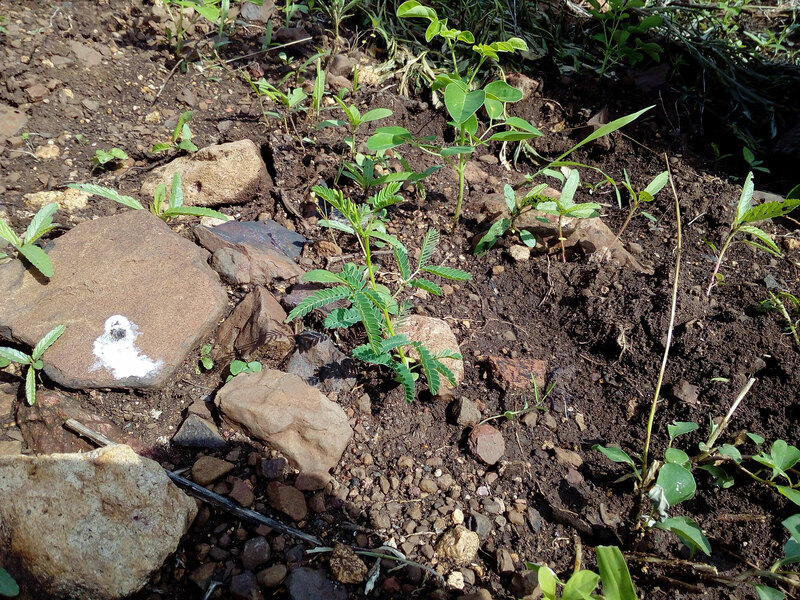 As rainfall gets less regular now, we are excited to observe the drought resistance of the chosen plants! May and June 2018: Strong rain events resulted in much retained water in our site, able to infiltrate and be stored and used by plants later on. 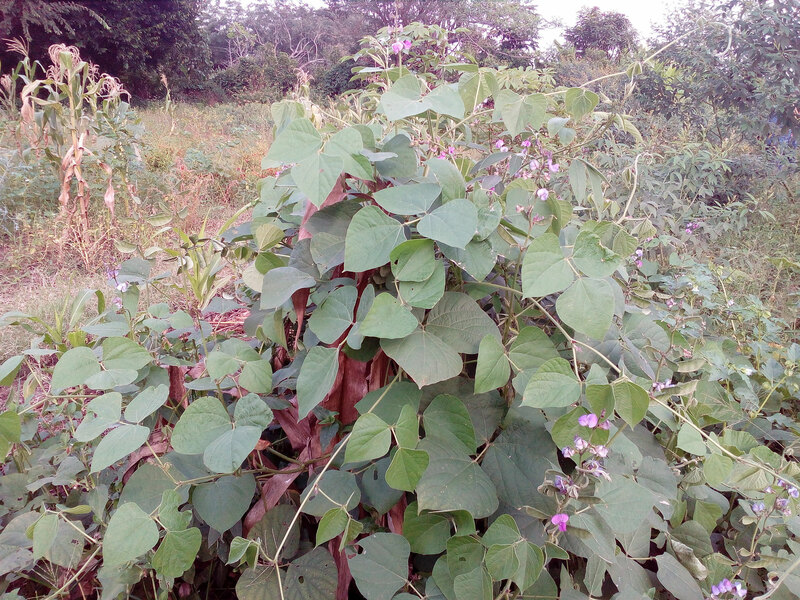 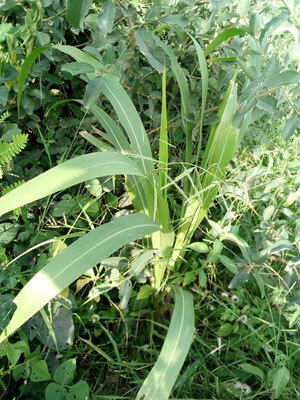 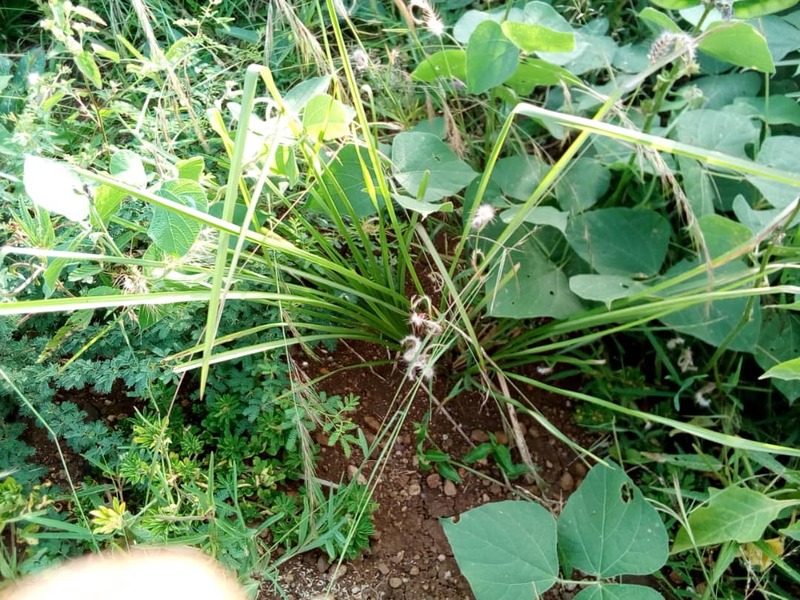 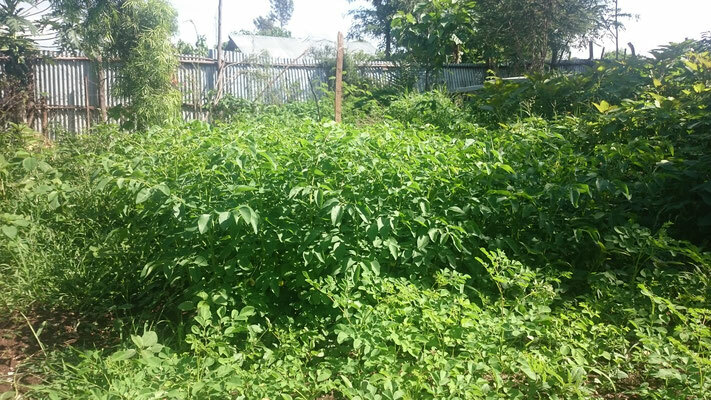 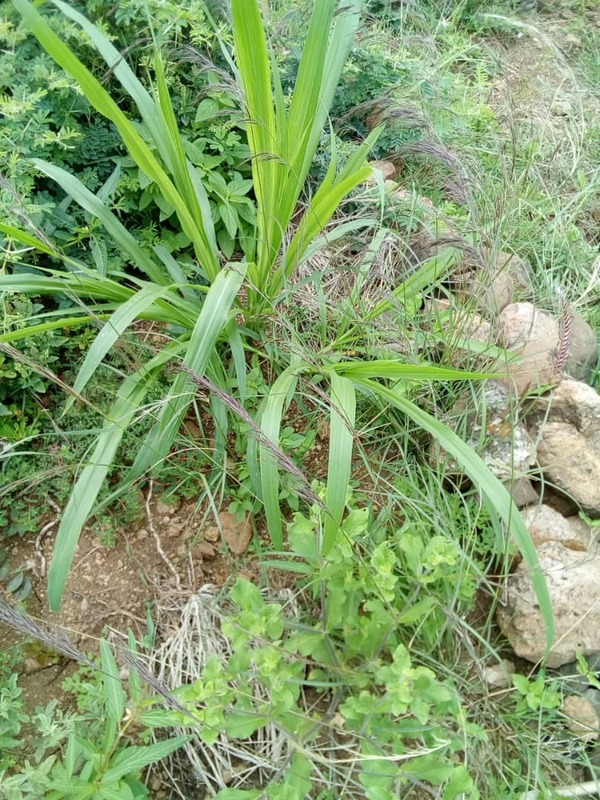 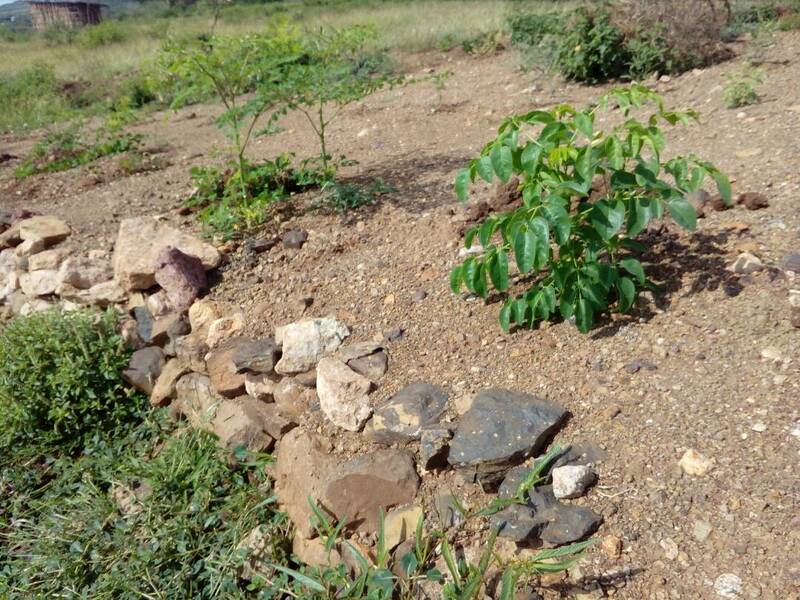 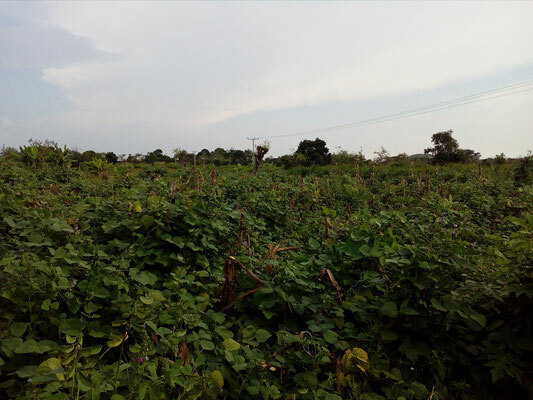 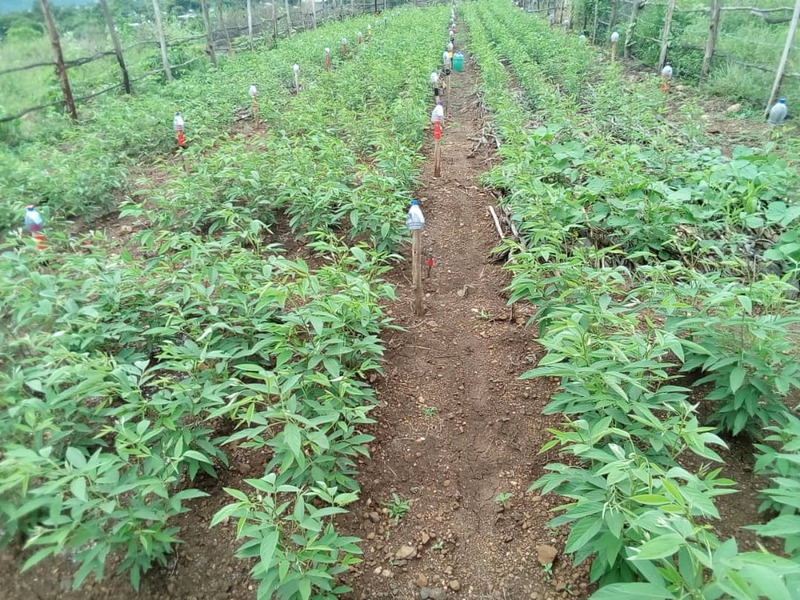 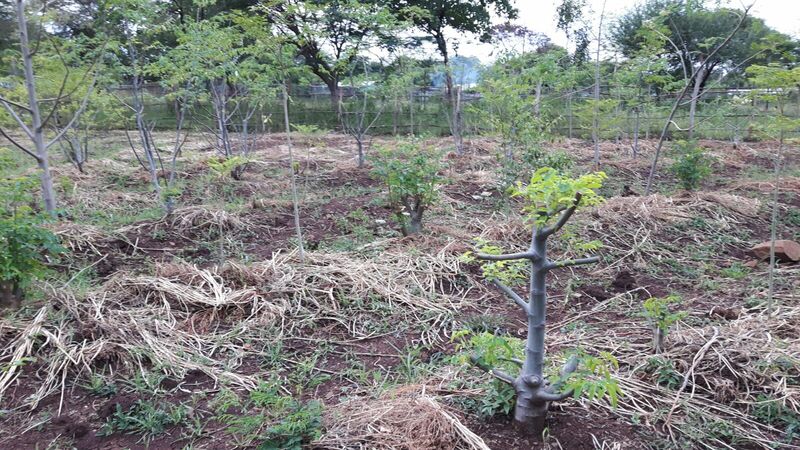 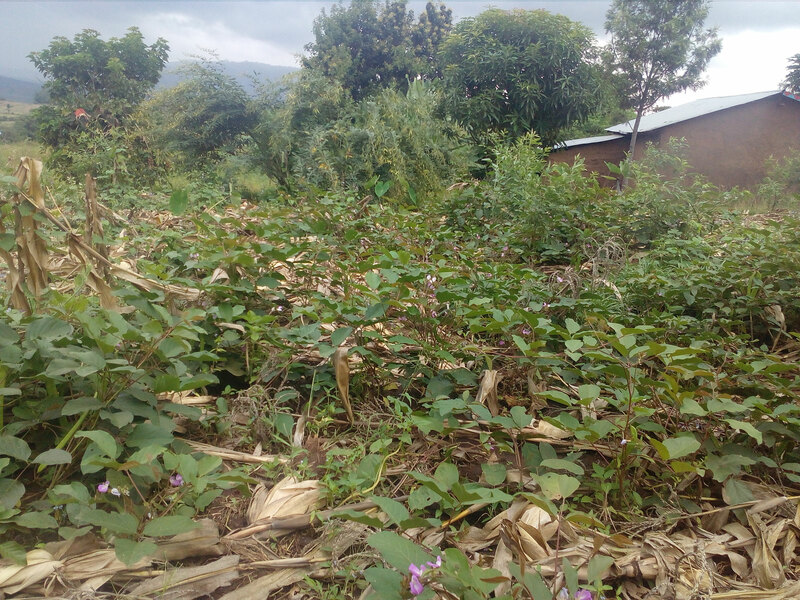 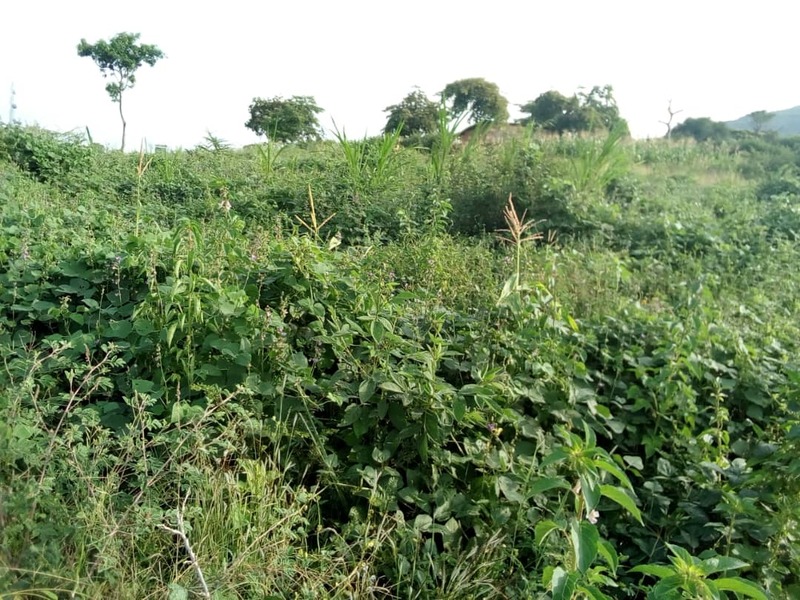 This resulted in astonishing growth of various plants we put in the soil before: Pigeon Pea, Moringa trees, Elephant grass, peanuts, Faidherbia albida. 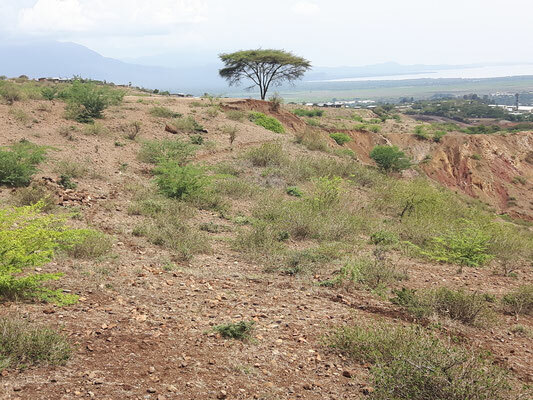 As rain fall is declining again, the drier season is approaching. We hope, that our specific plant selection works out the way we intended - drought-resistant, perennial plants cause shade for the inter space and soil surface, while still a substantial harvest is produced. April 2018: Rain was plentyful in April, pushing the Checkdam to its limits.The plants in the Project site are striving and forming a soil cover, while the measures of Rain Water Harvesting work just fine by retention of the rainfall. 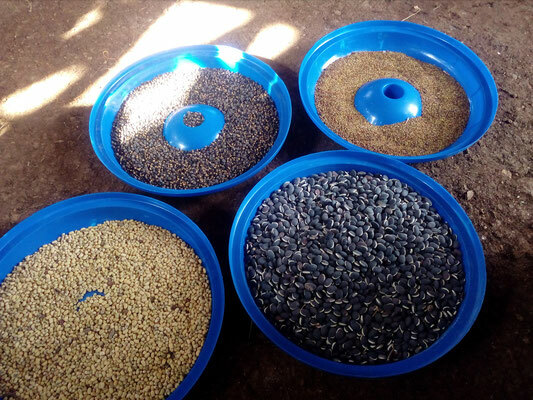 First seeds of the fast growing Moringas were harvested and soon to be propagated. 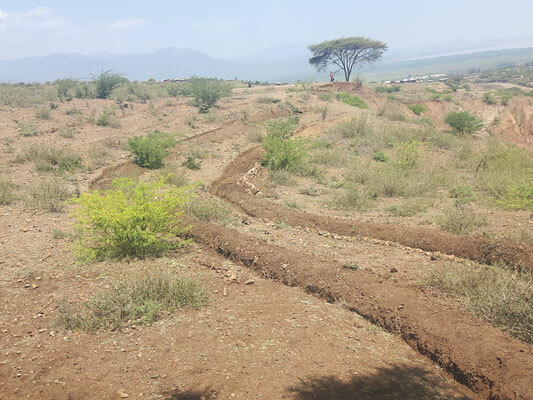 February and March 2018: The work continues, all was prepared for the coming rainy season. The project site was plowed for easy plant establishment, as well as the stone walls and trenches of last year were maintained. The seeds of many different plants and trees are in the soil, waiting for the rain to come. In the meantime, we constructed a Terra Preta Toilet System in the Site for our guard to use. 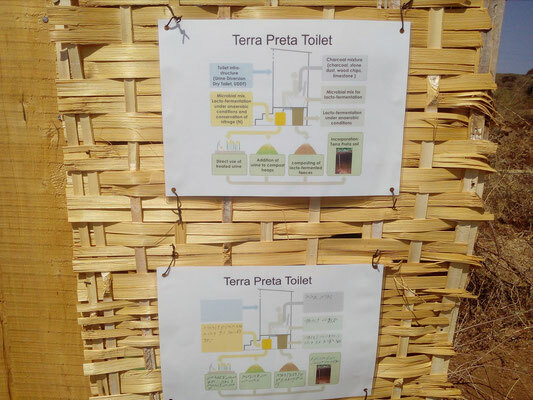 No more open defecation, but usage of an almost odour-free sitting toilet, where all the precious nutrients from the human waste is captured and reused to improve soil fertility. January 2018: Moringas grown tall up to app. 8m in just 7,5 months. 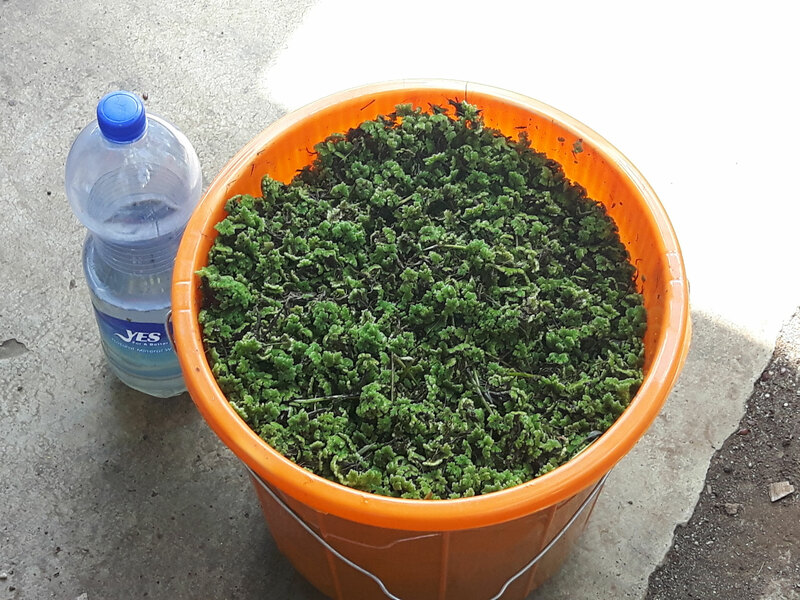 Full of seeds, which we will propagate in the next months. 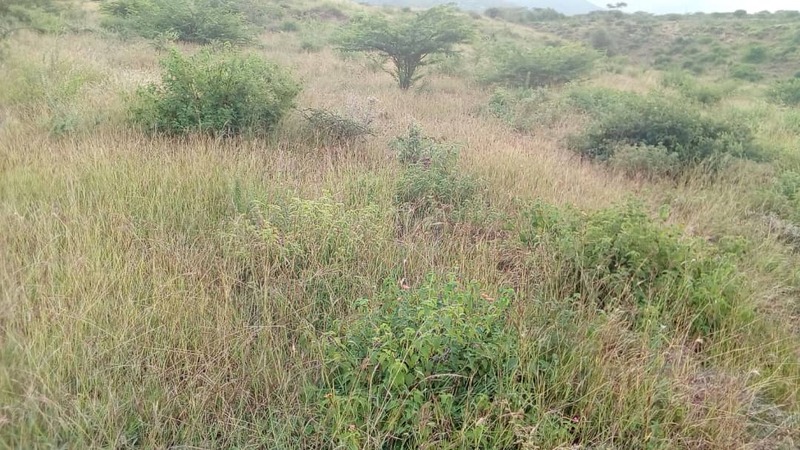 Mid of December: Grass has grown nicely, when it is not grazed all the time by free-roaming animals. 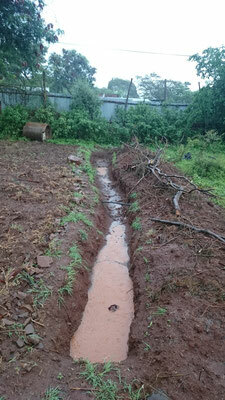 Our measures of Rain Water Harvesting also help a lot. 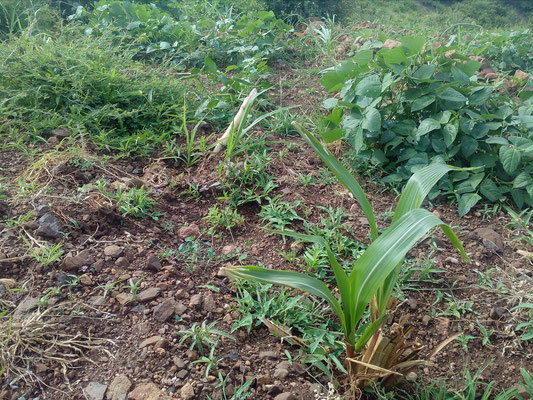 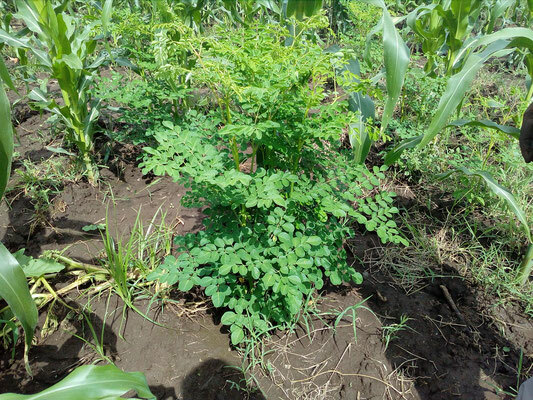 Where the soil was turned, the plants grow especially nice, like Moringa, Pigeon Pea, Elephant and Guatemala grass. 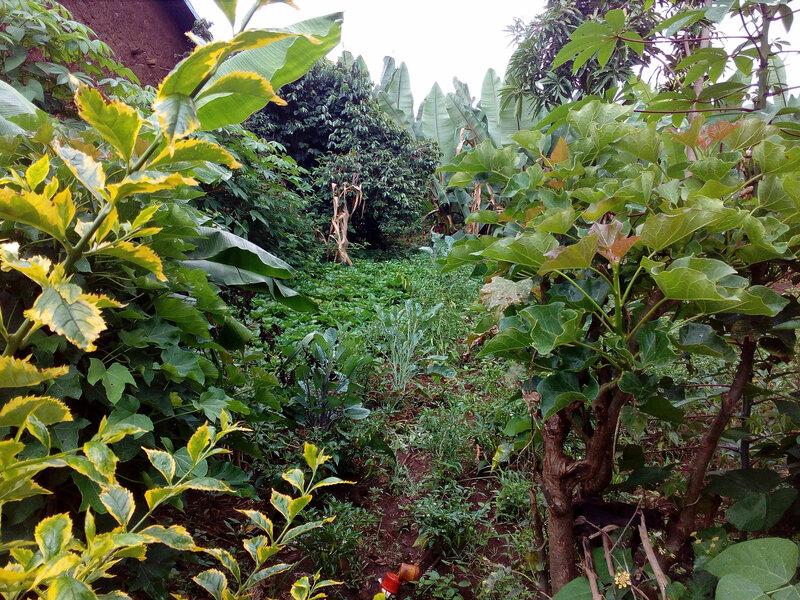 For the next rainy season, we plan to plow all the area once and then bring all the nice plants inside. 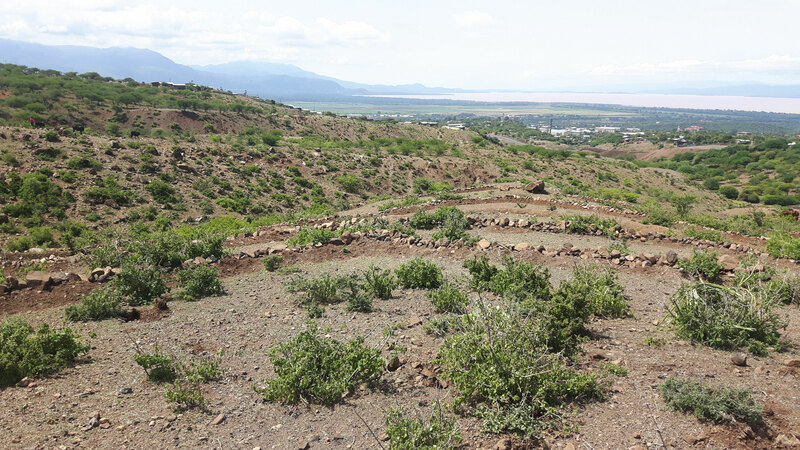 Then we really make a change for good in the project site in Arba Minch. 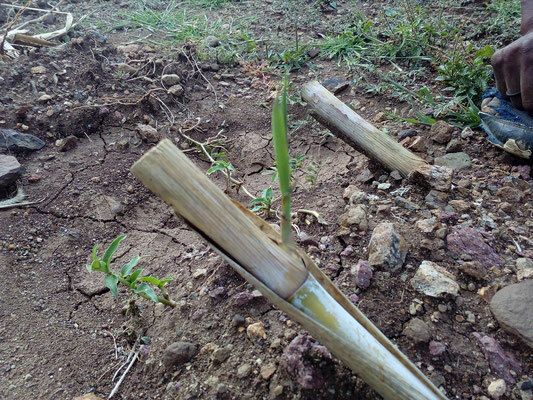 Mid of December: Rainy season is over, but still some plants are doing well. 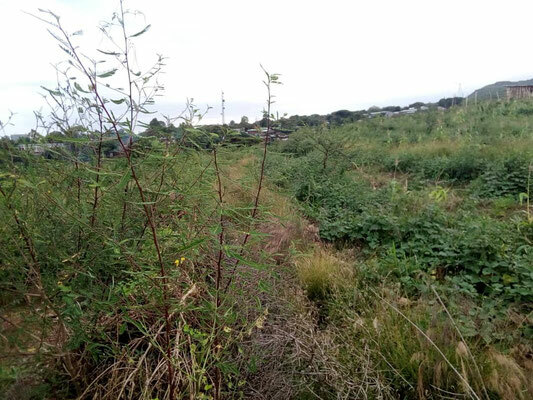 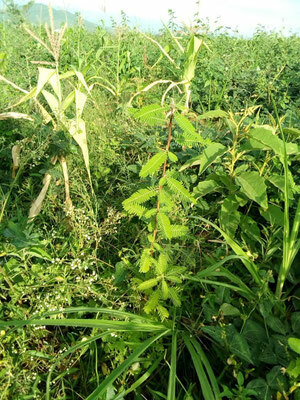 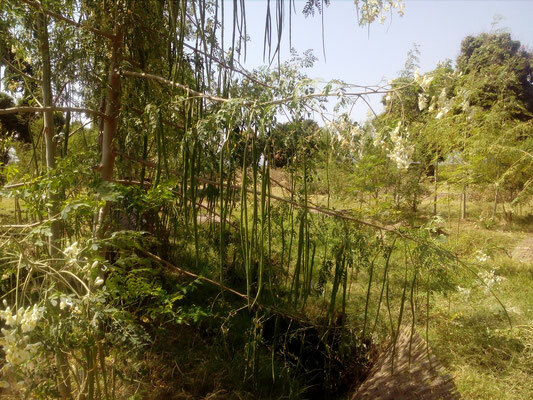 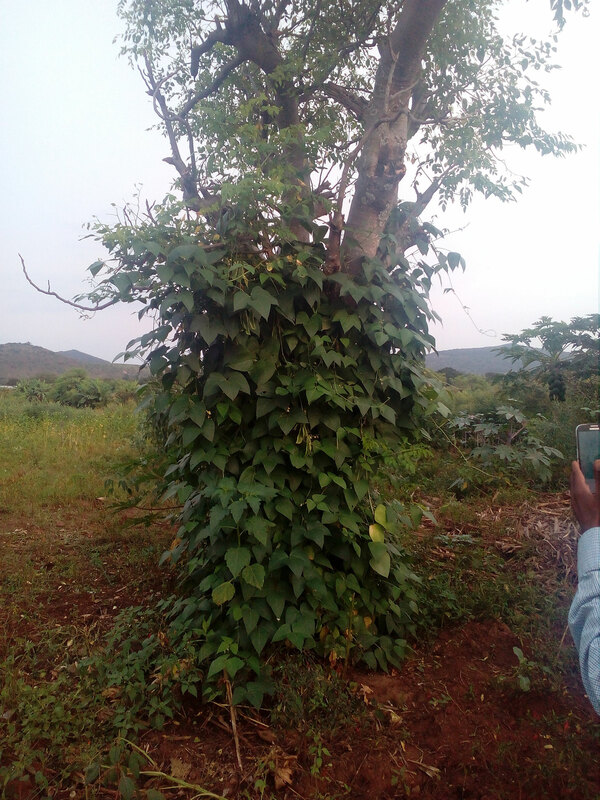 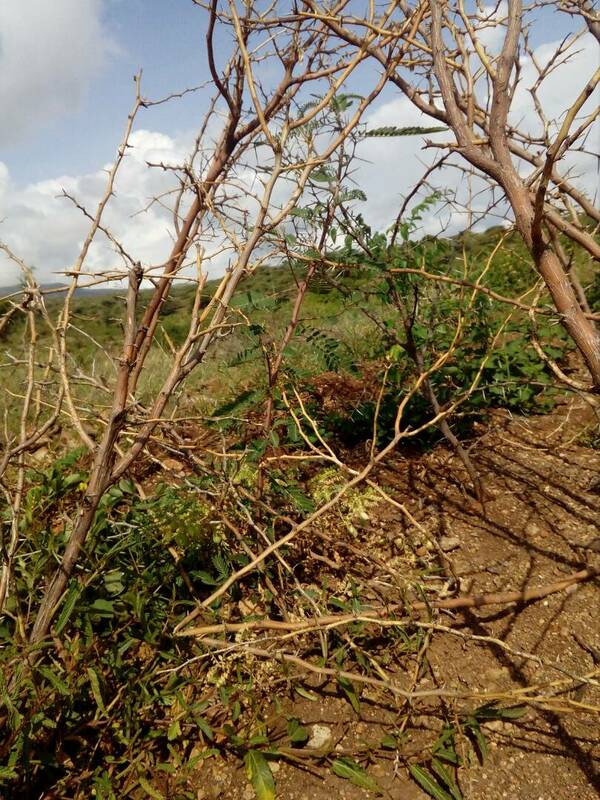 Especially the Moringa trees in the farm of Elias grow fast thanks to good access to surface-near groundwater and overwelming good seed quality. About 7 meters in just 6,5 months! 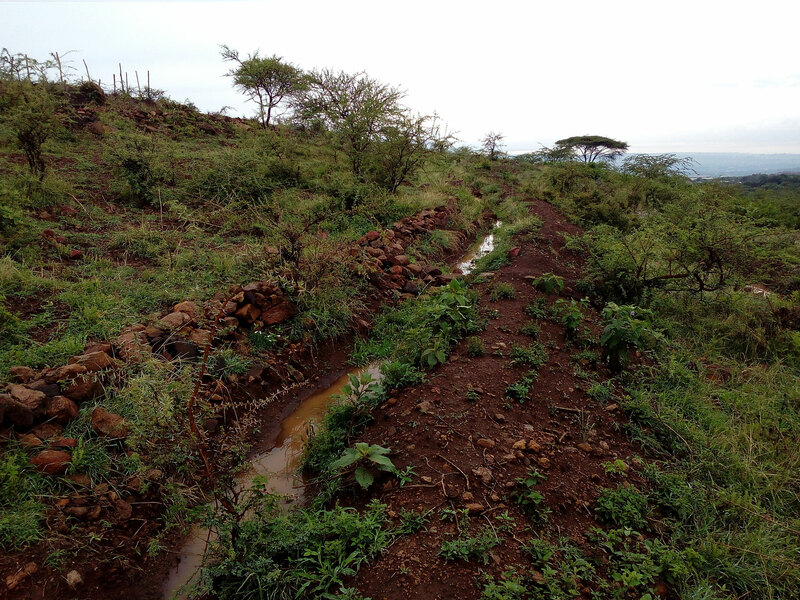 End of November 2017: Amazing, what the retention of rain water and keeping off grazing animals can do in just some weeks of rainy season! The grass is growing, stabilizing the soil. 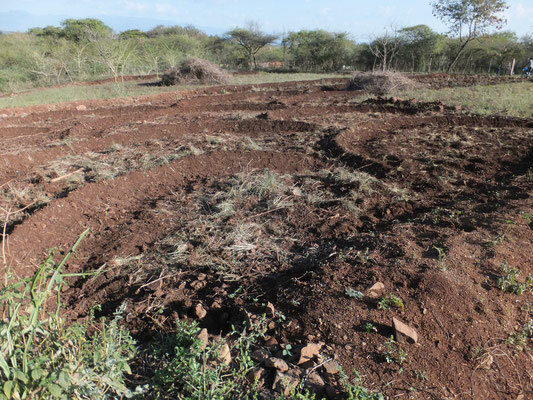 Less erosion, more fertile soil! 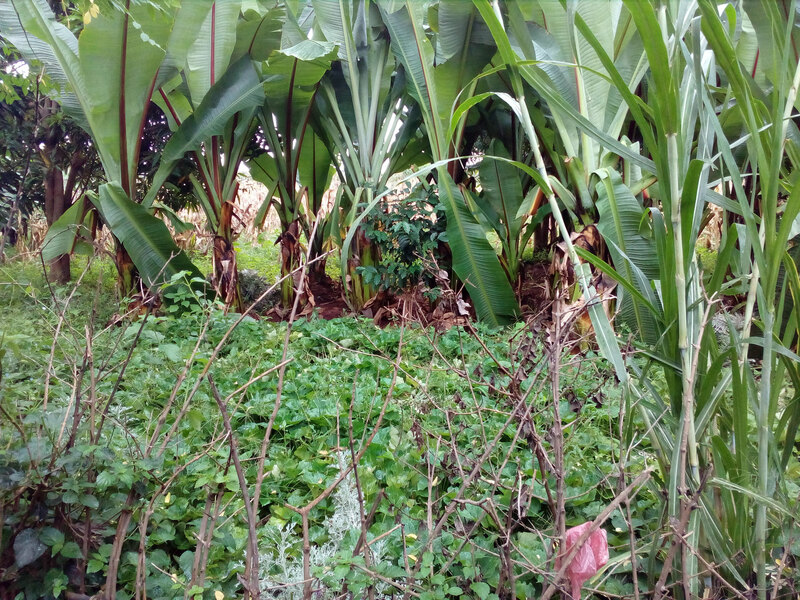 Hamburg, 24.11.2017: The Slope Farming Project won the first prize of the 5th Harburger Nachhaltigkeitspreis for the year 2017. This is great news, as the prize money enables us to further implement the measures to make a long-lasting, sustainable change in Arba Minch. Many thanks for the award and the support of the HARBURG21 team! A demonstration site near Sodo by the Terepeza Development Association shows very nicely, how productive, yet resilient and sustainable with little inputs only can be done by advised local farmers, increasing their yields reliably. 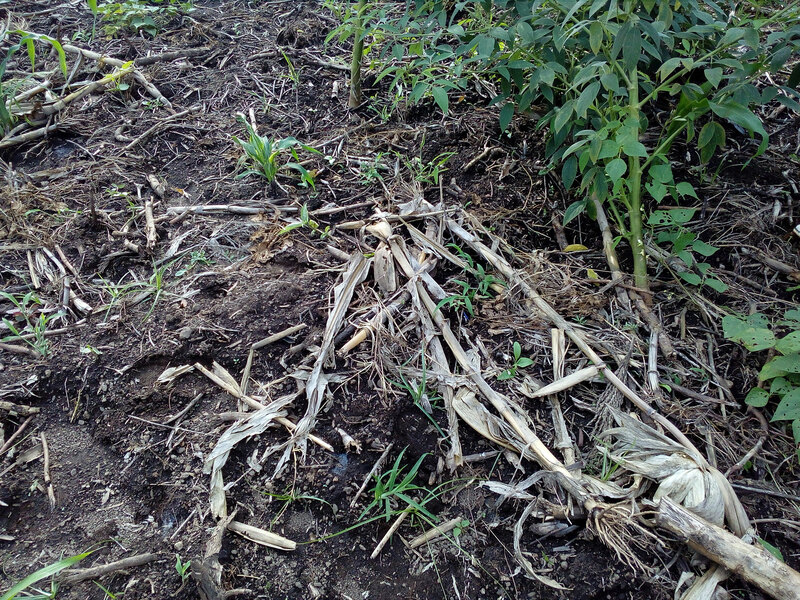 Mulching, intercropping, crop rotation, relay-cropping, all is practiced. The papayas seem to like it very much! 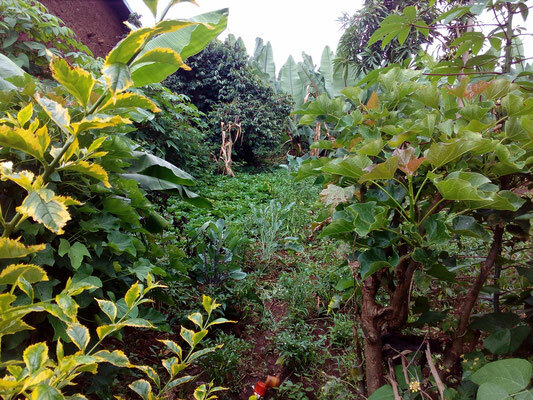 We are just starting to establish those measures of Conservation Agriculture in our side, along Water Conservation, Soil Conservation, mixed up with our resource-oriented sanitation and energy system! 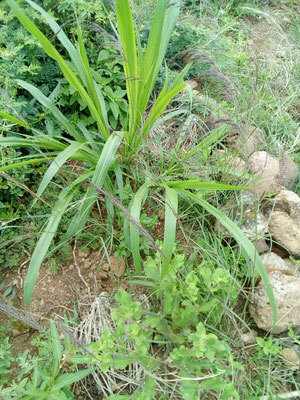 Topped by our plant system. 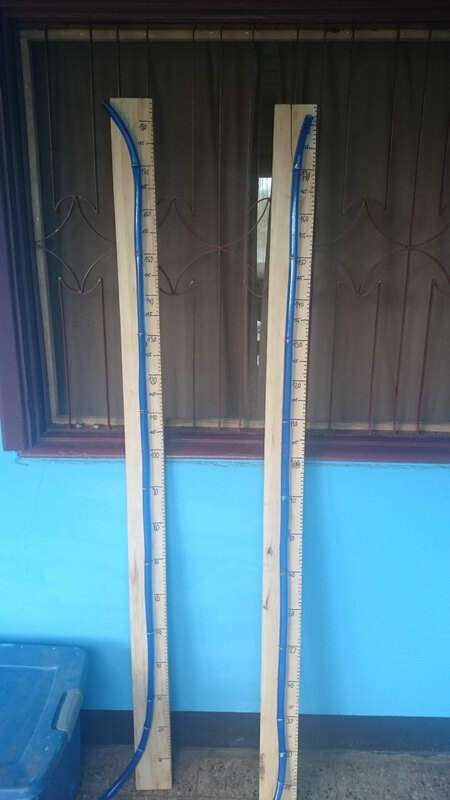 What will happen? 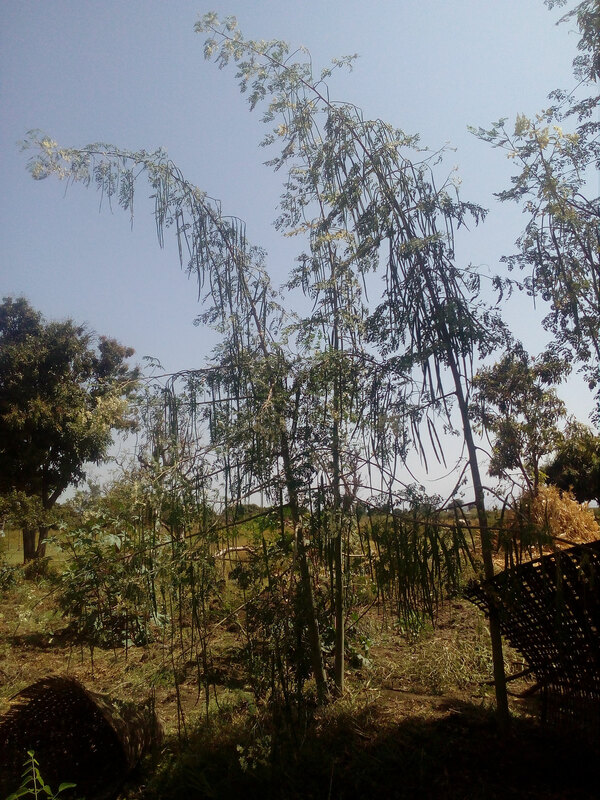 Chicken like to eat Moringa very much! Sometime a little Azolla adds some special flavor, definitely the taste they like more than the dry standard fodder. They reward the special feed with nice eggs, yolks deep-orange in color and strong shell, and many a day. 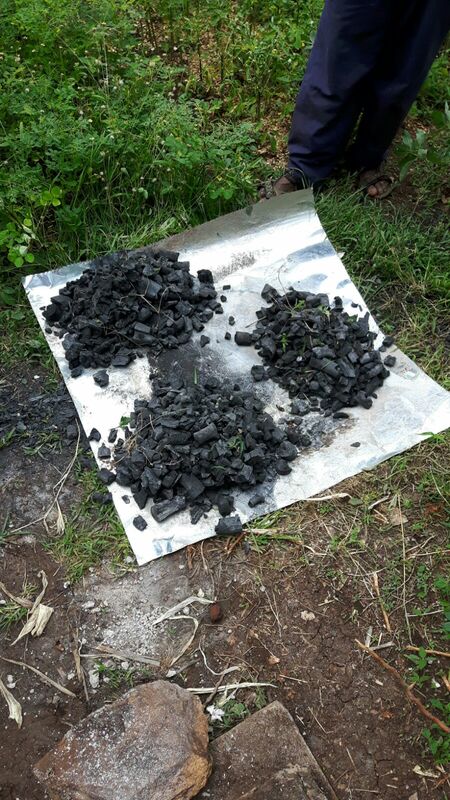 Maybe the added pyrolysed and crushed bones helps? 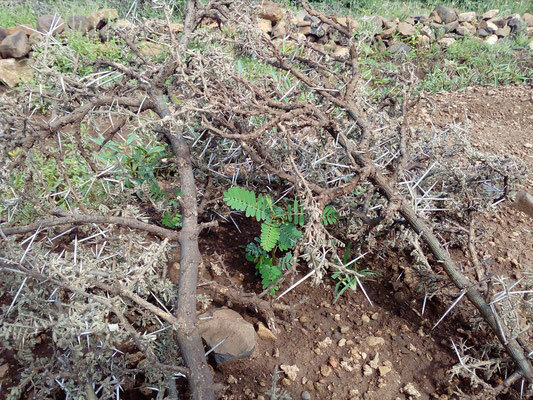 The Moringa trees grew in just about 16 weeks up to 5 meters, so far. 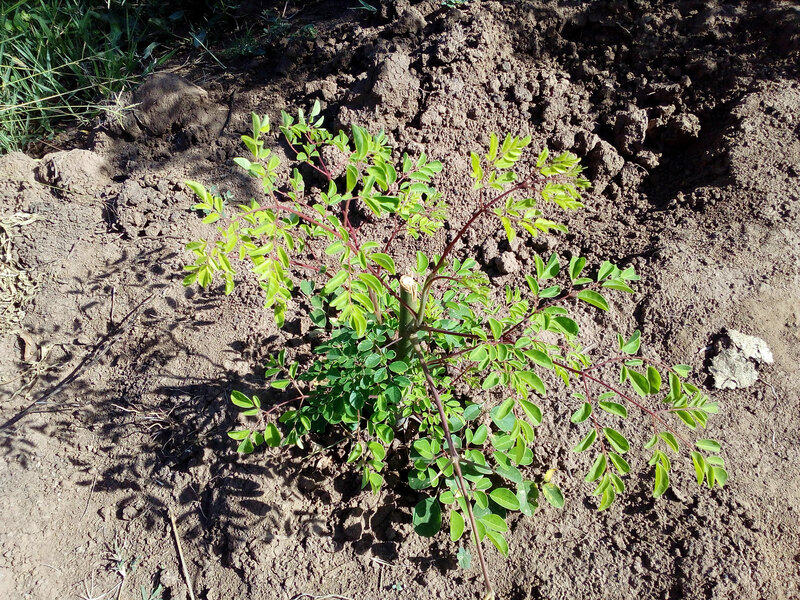 Very good seed indeed! With the upcoming rain, we started the planting of beneficial trees and plants inside our project site. 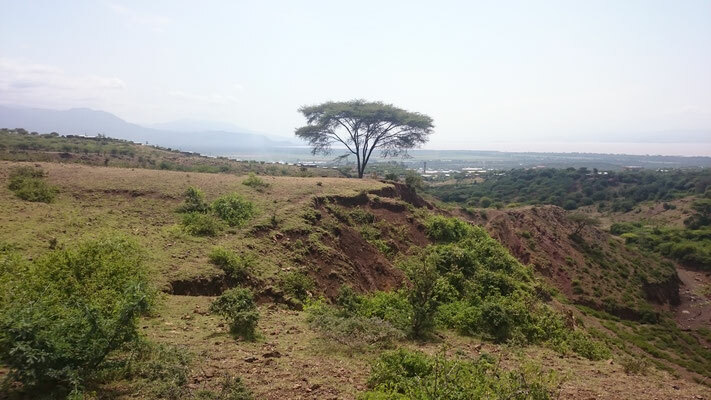 To prevent from grasing, a neighbourhood agreement was signed with the local Bere Kebele with support of the Mayors Office of Arba Minch. 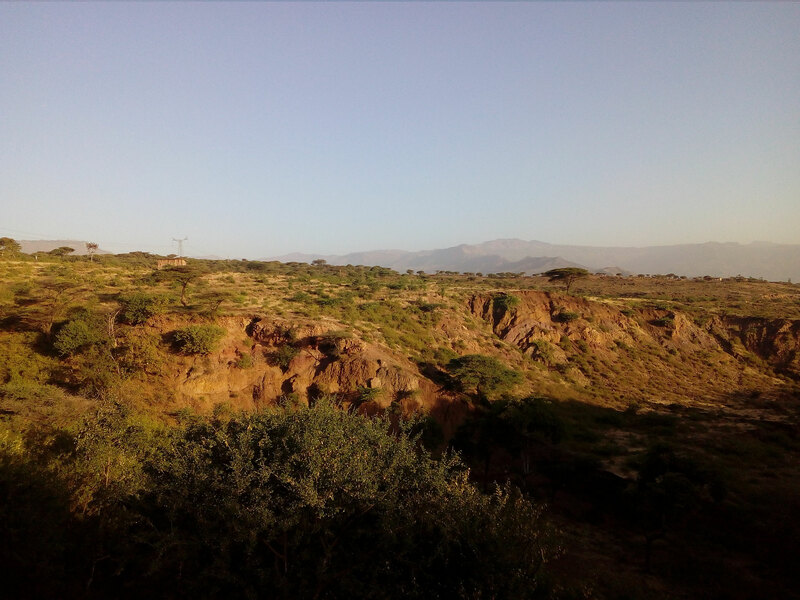 Many thanks to all people involved! 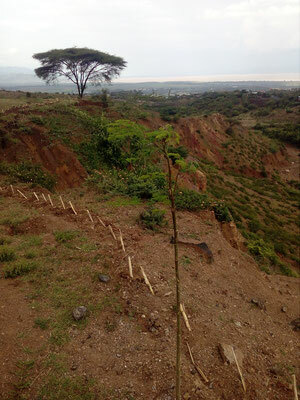 Now our foreman and caretaker of the site Asfaw will live permanently on the site to take care! 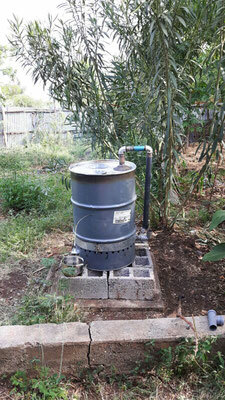 We finalized the implementation of our Rain Water Harvesting measures. 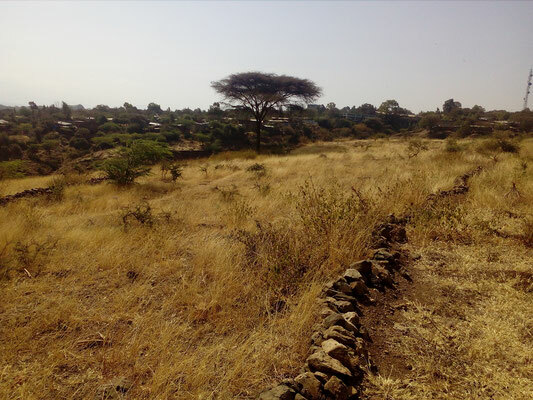 on about 3 hectares of space, we established trenches, terraces, stonewalls, earthbunds. 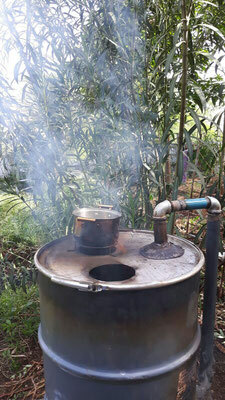 Alll topped by a app. 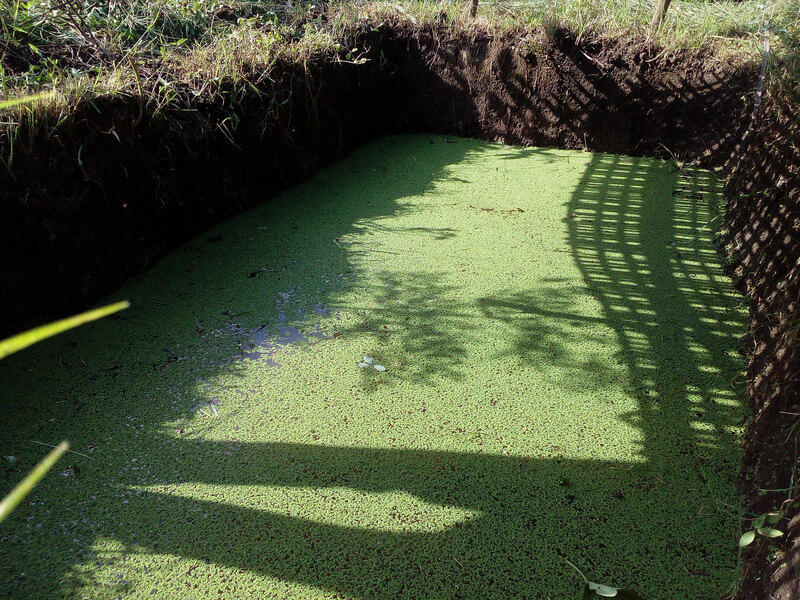 50m³ overflow reservoir linked to the trenches. 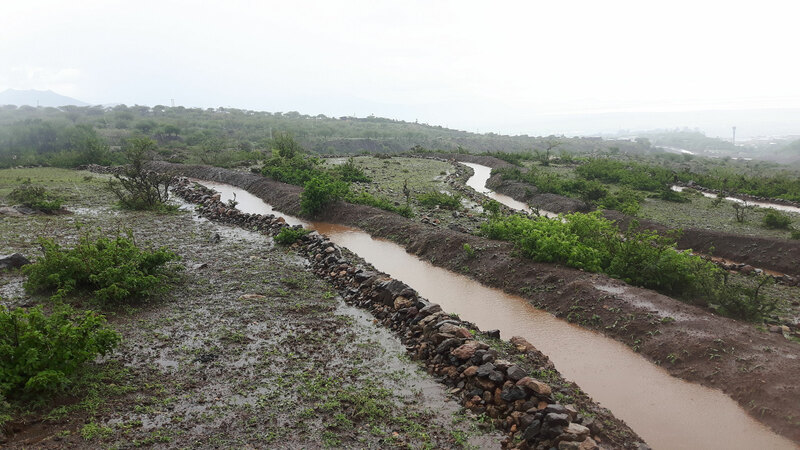 In case of a tremendous rain event (like 60mm or more in just one hour), we expect to fill all this volume with ease. Now, with the starting rainy seasons, and all means for retention and infiltration of the water in place, we start the establishment of our planting system. 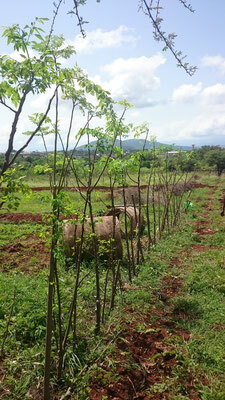 First plants are sown, mostly Moringa and Leucaena. Lets hope for continous rainfall and the absence of grazing animals. 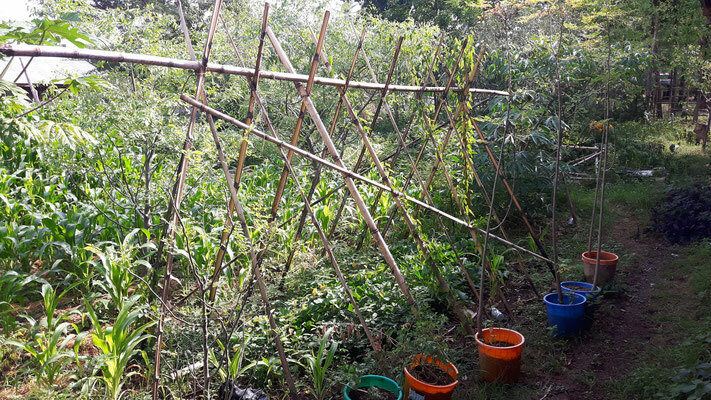 We will construct a house for our caretaking guard soon, in order for him to be present in the site and facilitate and protect the measures 24h per day, if needed. Now the actual restoration of the degraded area can begin! 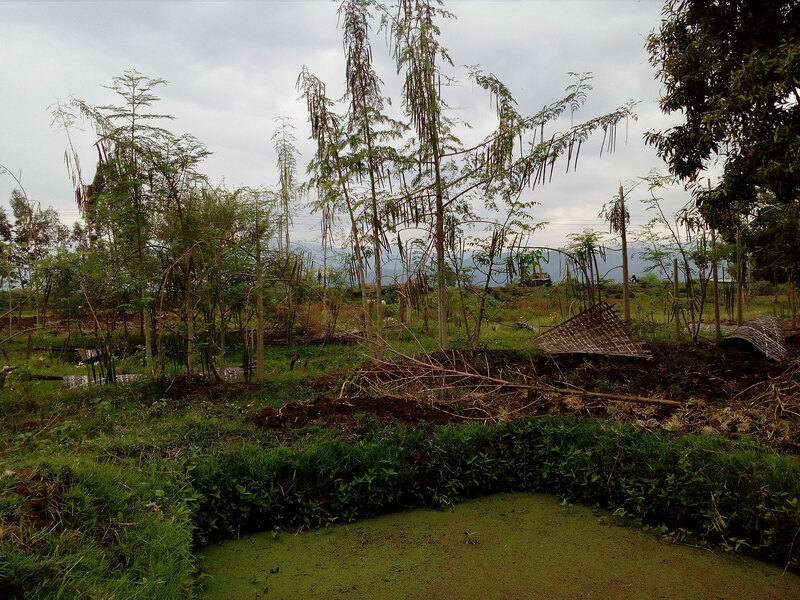 This year’s main rainy season came late – but intense. 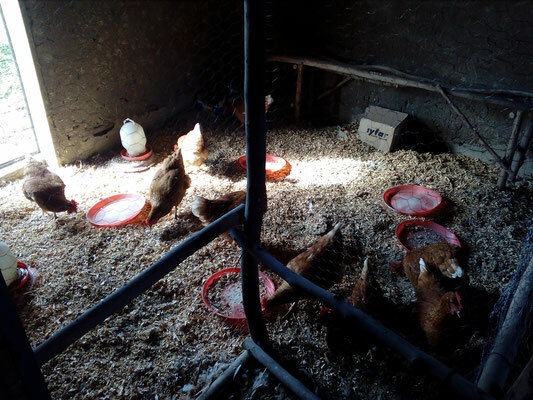 Due to a changing climate, weather conditions change drastically, people, animals and plants are suffering big time. 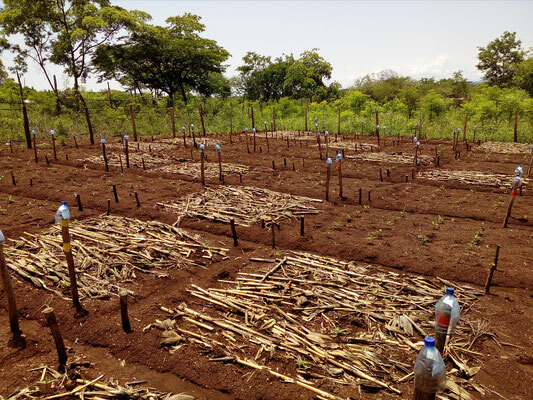 The more important becomes research and activities in the field of Restoration Engineering, combating drought stress and low productivity of agricultural practice. All for the improved access to food and water, especially with a fast growing number of inhabitants, like in Ethiopia. 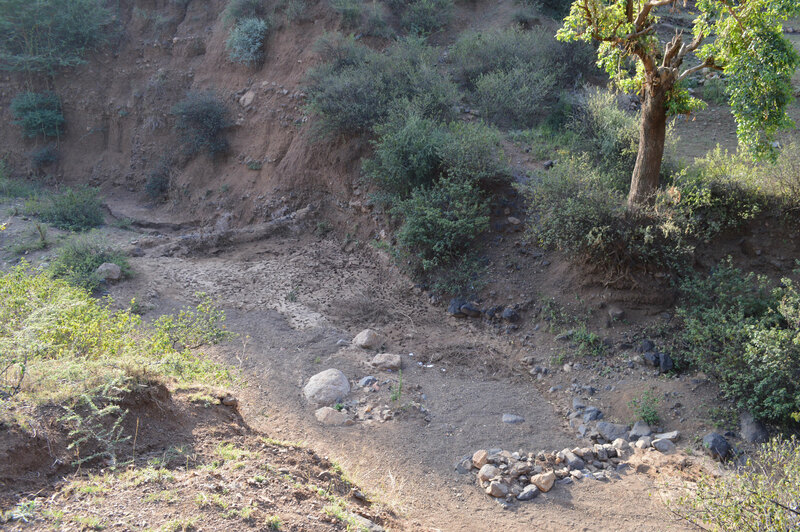 Thirsty for the rain, the environment really was struggling. 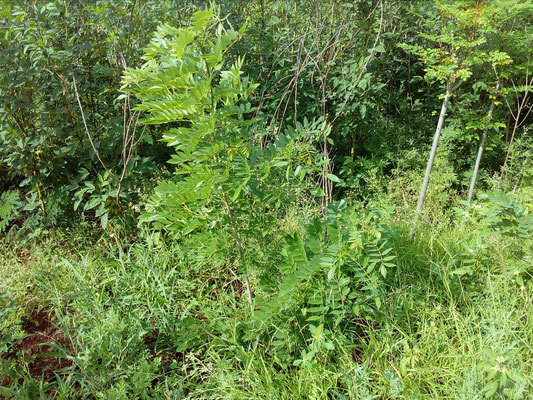 Even deep rooting trees like Leucaena thinned out their canopy. 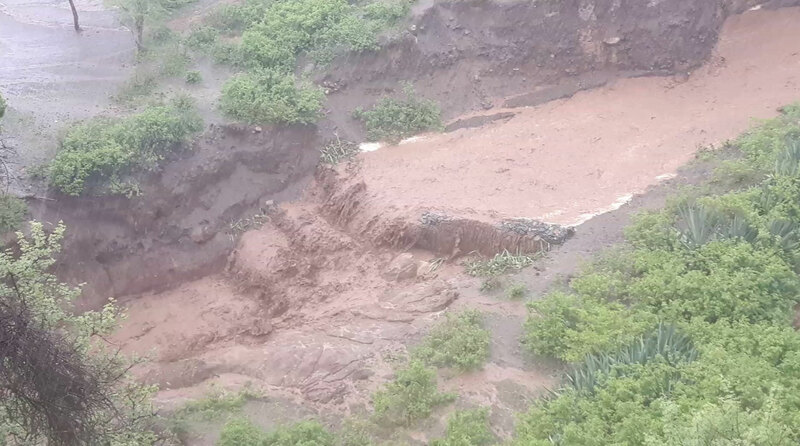 But in the end of April the rain came, with astonishing rain events. Lots of rain on a dried out soil with little or no vegetation cover at all means too very often little rates of infiltration and high rates of surface runoff. Therefore our lately enhanced living Checkdam in the erosion gully had to withstand heavy floods, and only could partially manage. 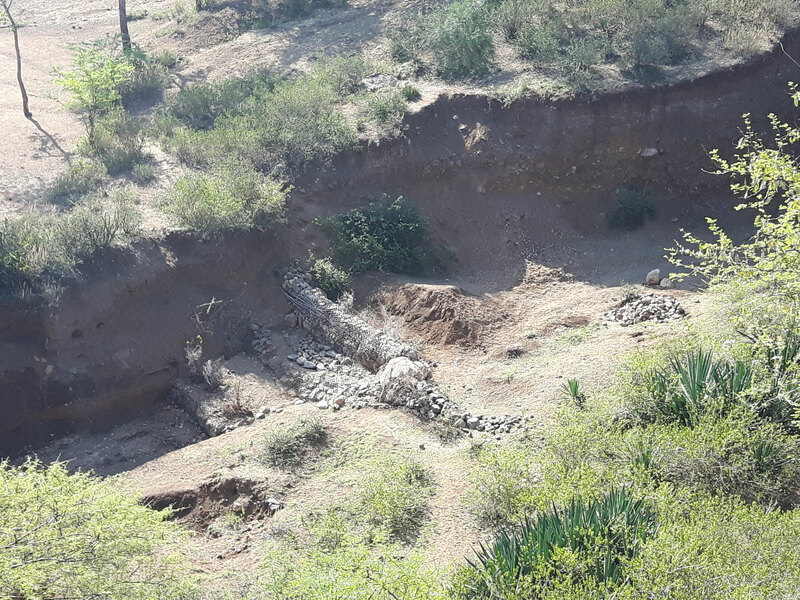 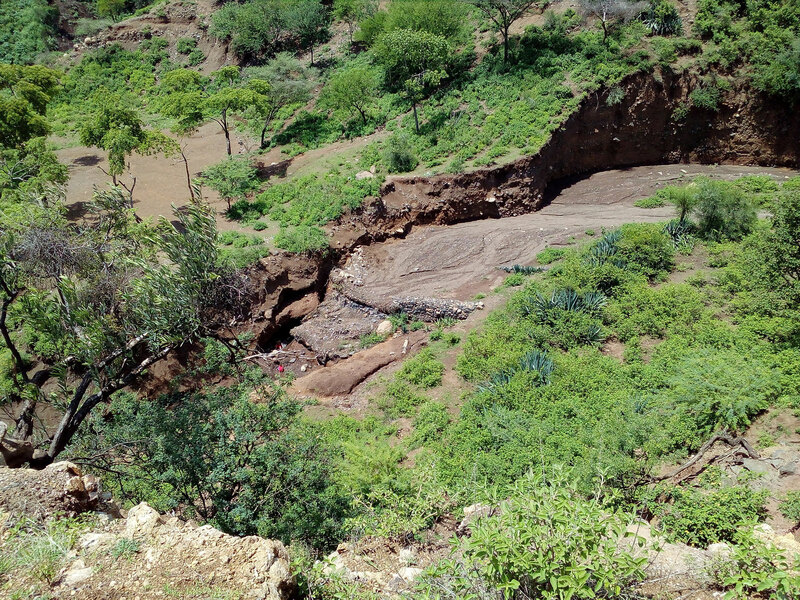 The riverbank without mesh stabilisation collapsed due to severe overflow, in the following nights with again strong rain, the bank collapsed and eroded, almost all the way down to the fundament of the Checkdam. 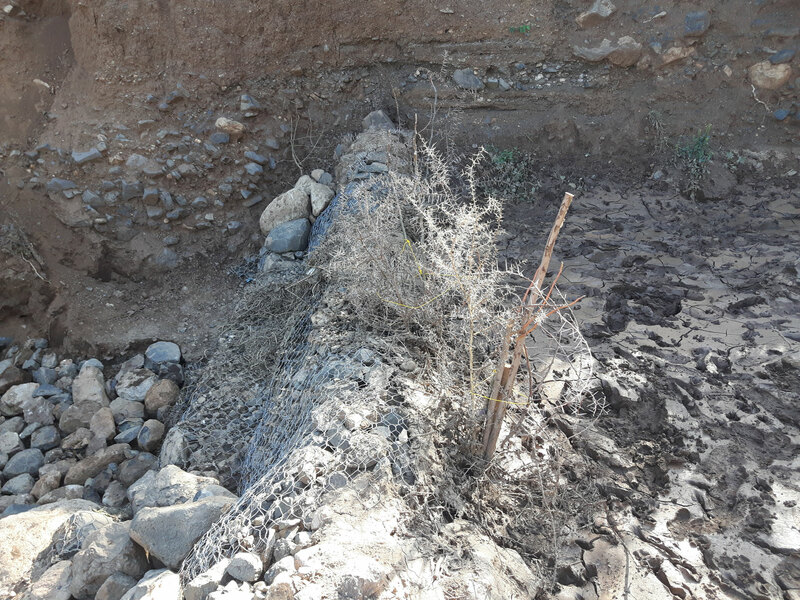 So, we adapted, and constructed a new riverbank stabilisation with mesh, wood and a lot of stones. 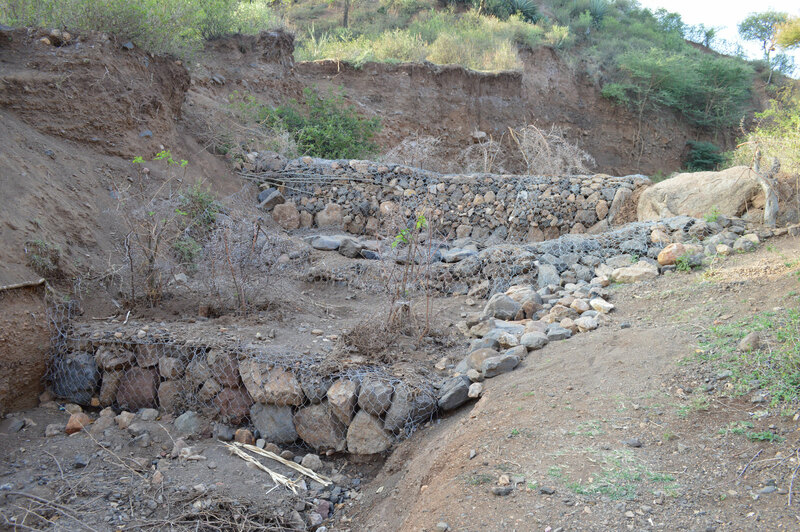 This wall will direct the water from the riverbanks (the most fragile part of the dam) towards the centre of the erosion gully, where it overflows towards the scour protection. Also, by this strong rains, we could retain lots of water within our Rain Water Harvesting measures on-site in our project site. 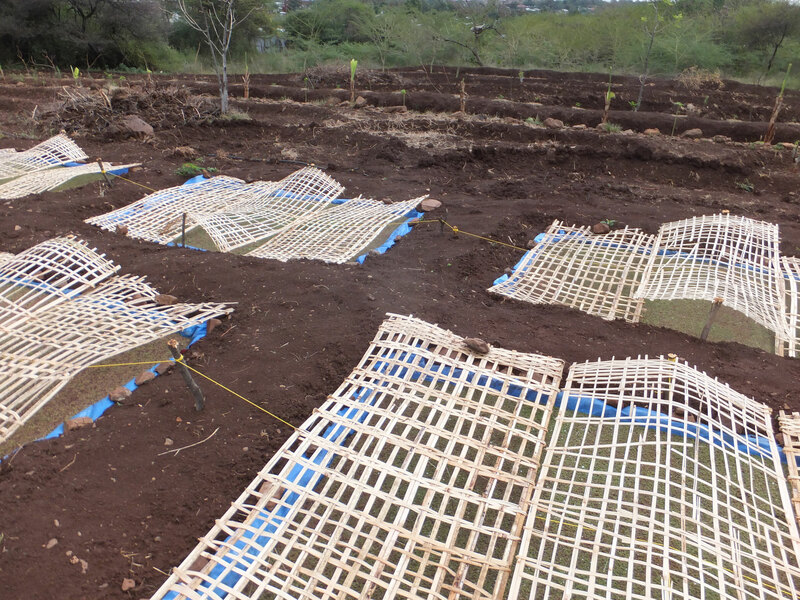 Currently, we construct more measures (a diverse mix: trenches, terraces, eyebrow terraces, keyline furrows, earth bunds, rain water pons with a distribution system) on the site, to exemplary demonstrate adapted to the very circumstances the functioning of the measures to interested people. Now the water has come (and is retained in the site, where its percolated into the soil layers) we can start the planting of our adapted planting system soon. 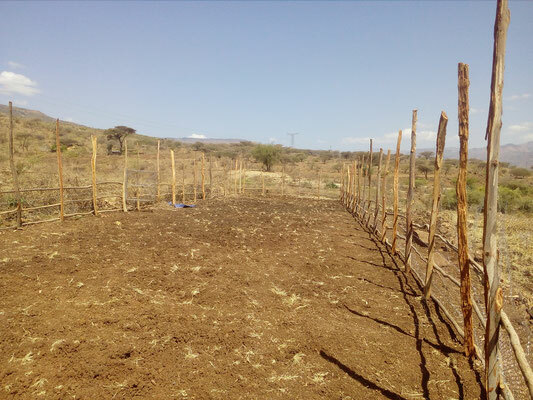 A living fence and “gardening guards” (caretakers of the green area) will manage to keep any free grazing goat or cow outside, so no harm is done to the plants. Only then there is a chance to improve the soil of the eroded site and have a well functioning, sustainable approach to show and evaluate. 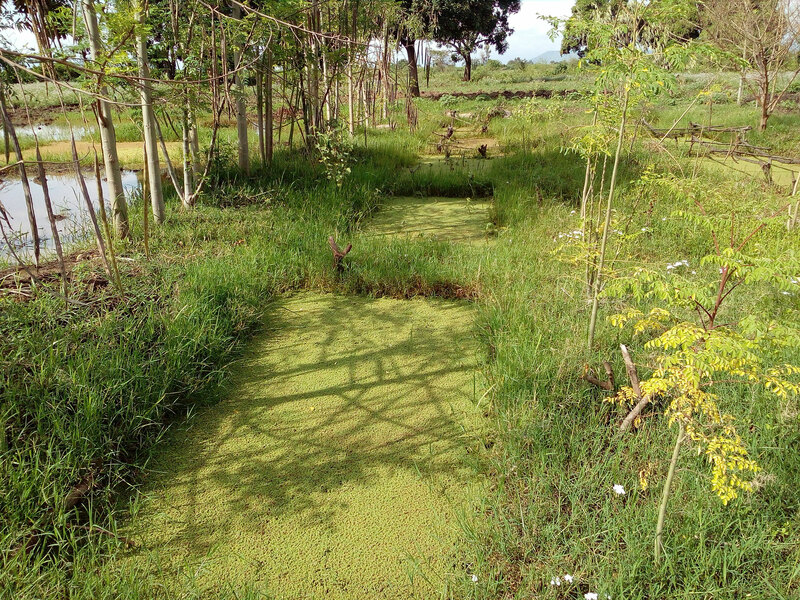 The Azolla ponds became functioning mirco-ecosystems, with frogs swimming around (and eating mosquito larvae). 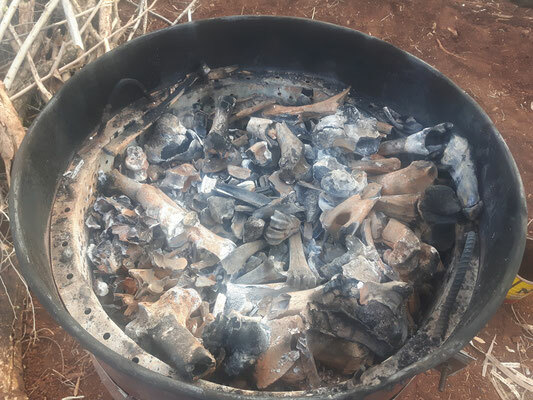 The only additive so far is bone meal, which we pyrolyse in our wood gas stove from bones (and currently there are many because of the dying cattle from the drought). 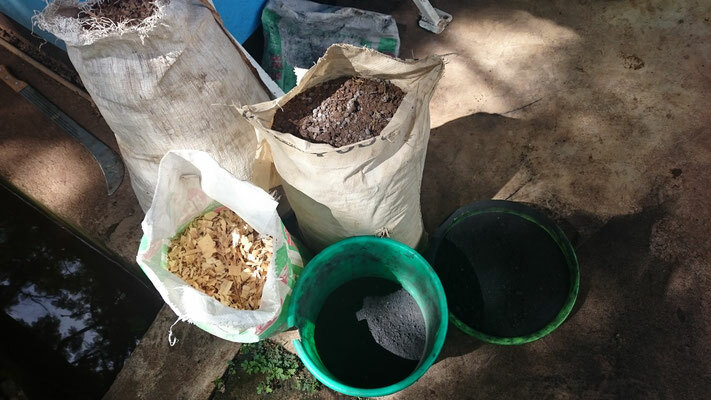 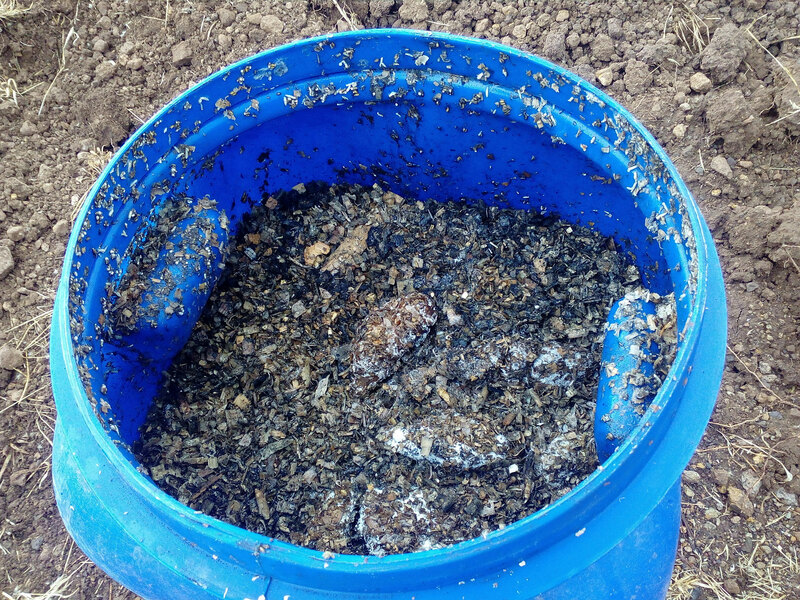 We hope to extend the research on this and produce a high-value organic fertilizer from waste residues. We thank all supporters for their great contribution. 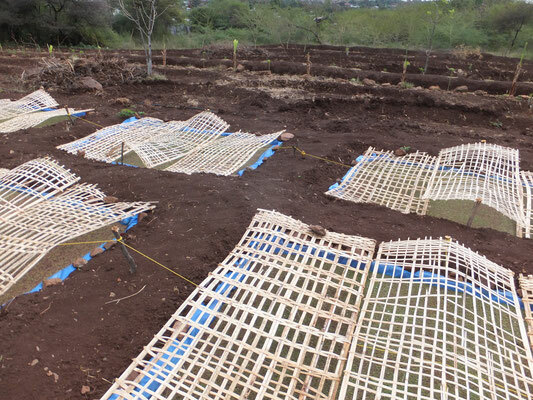 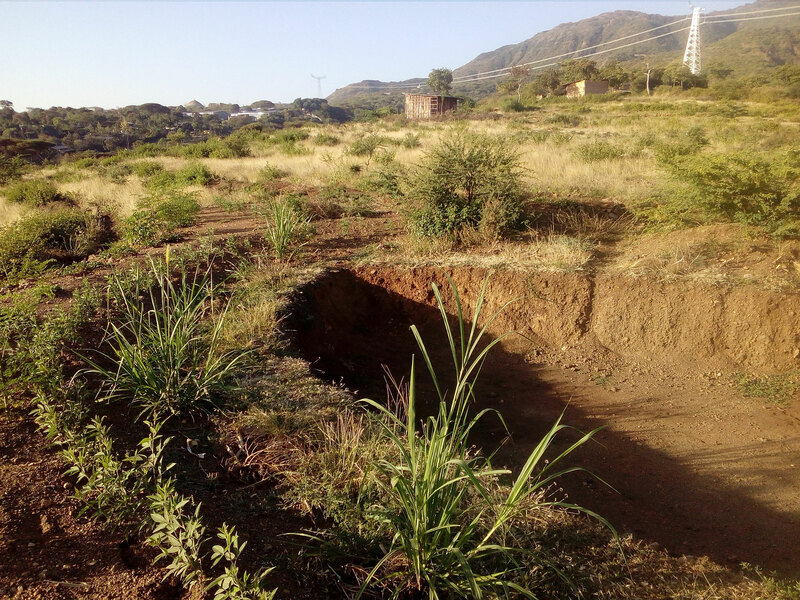 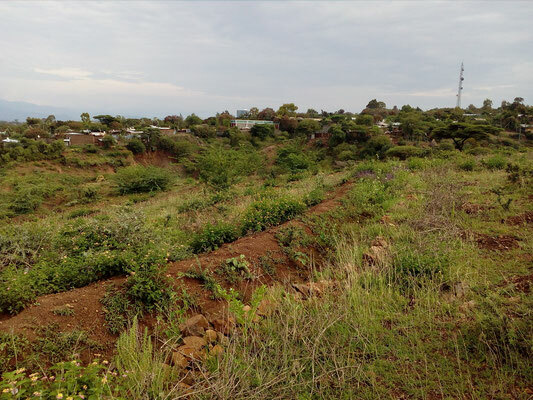 Project Site: Measures of Rain Water Harvesting were started! 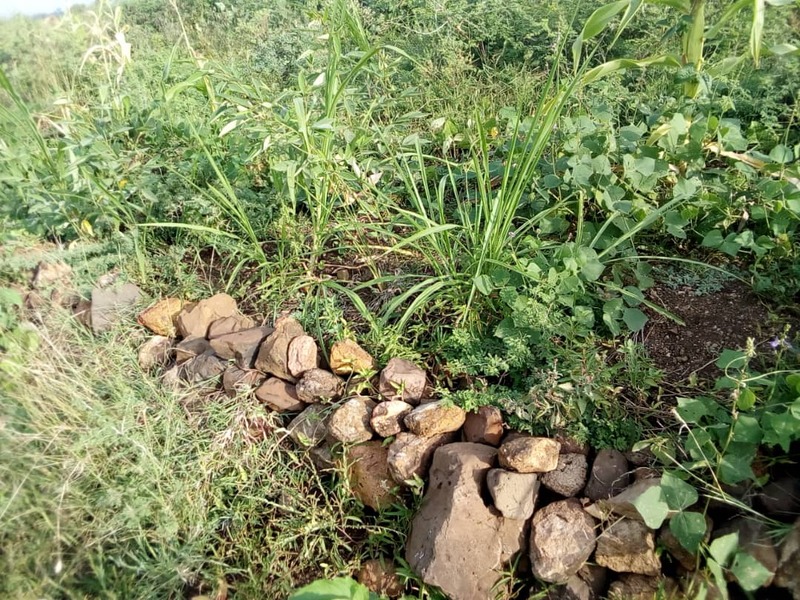 With our self-constructed mason level, we marked the contour lines of the plateau in the project site to establish water harvesting keyline trenches. 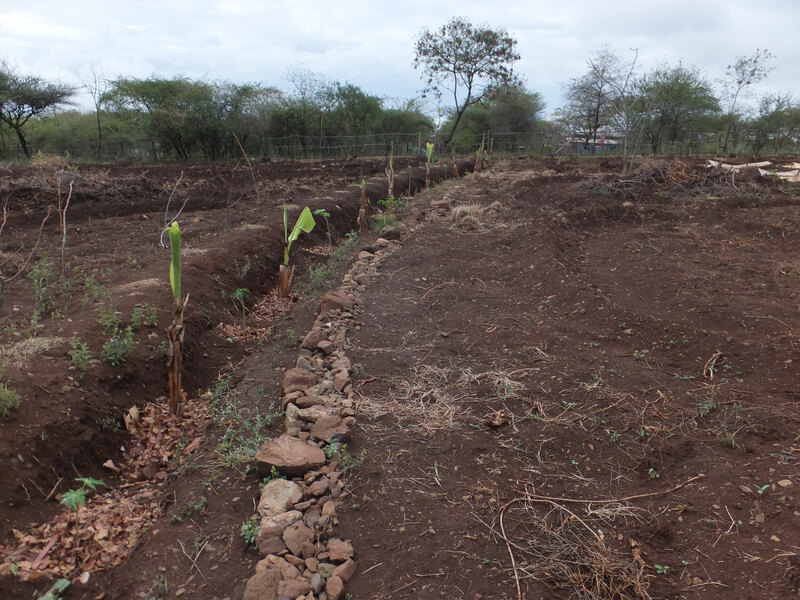 A suiting, beneficial vegetation cover will follow soon, benefiting from the stored water and non-eroded, fertile topsoil! Erosion can be stopped by adapted system, beneficial also for the farmer implementing them! 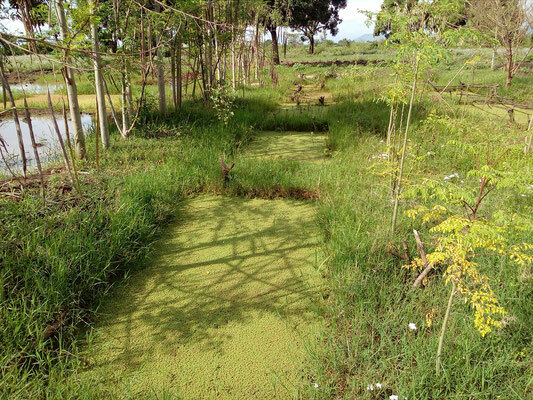 Productive Ponds: In ponds, we started to grow Azolla. The system basically only needs some cow manure and soil supplied weekly. 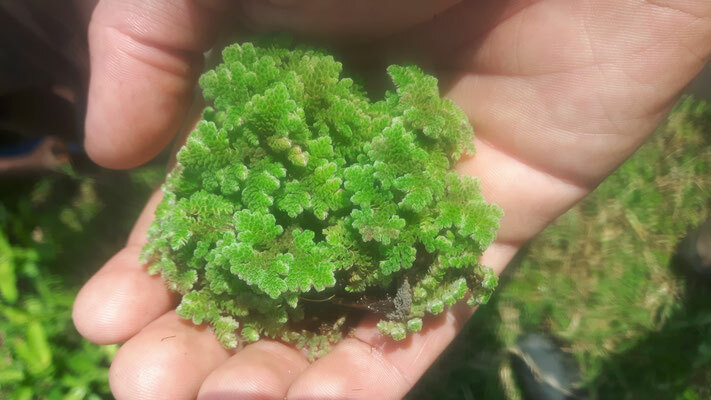 Then the amazing Azolla starts growing non-stop. 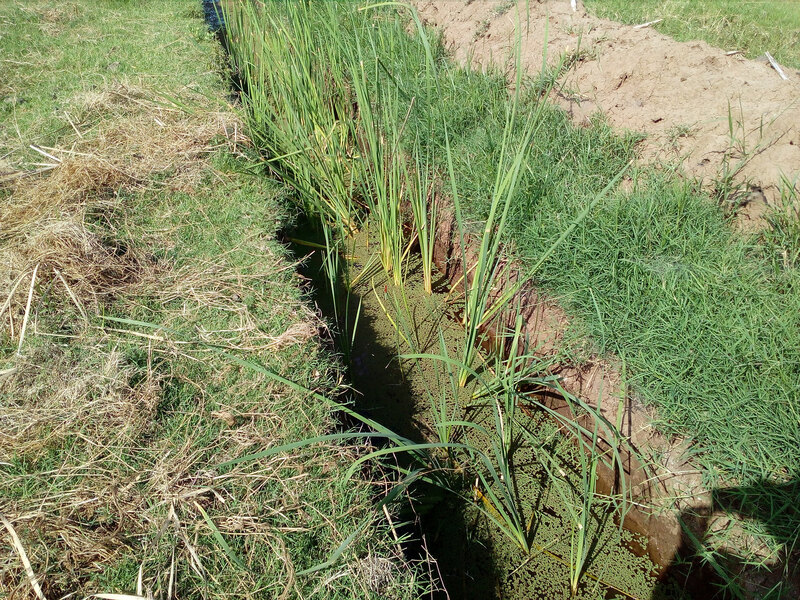 We aim to develope an integrated "waste and wastewater"-treatment system around this, with production of high-value organic fertilizer, mulch or even livestock fodder, for closed nutrient cycles! 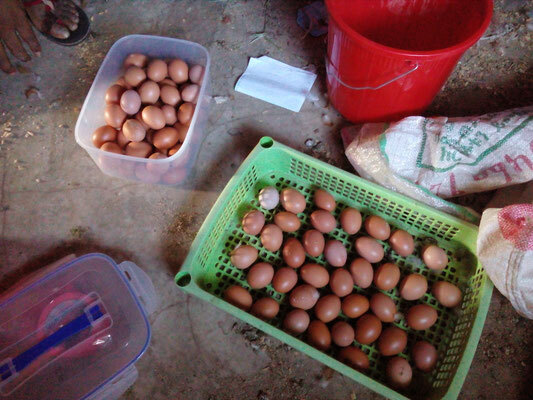 Chicken House: We constructed a chicken house from local materials (loam bricks, partly wood and bamboo) in the Moringa Tree Nursery for organic, free-ranged poultry, fed also by Azolla plants. 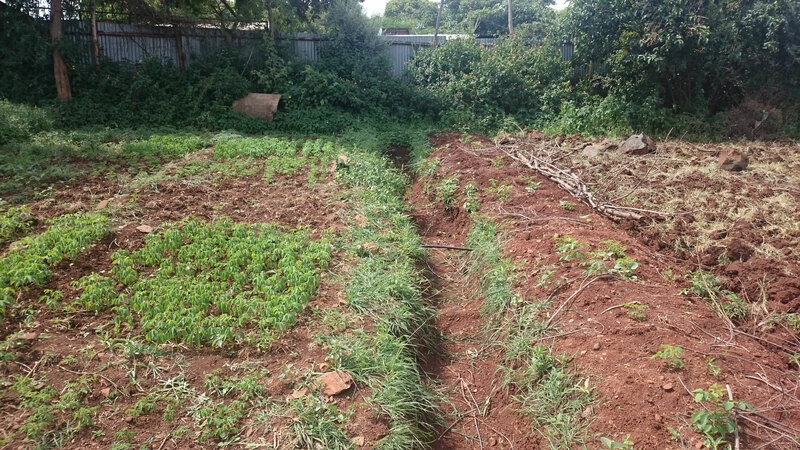 No more weeding between the Moringas! 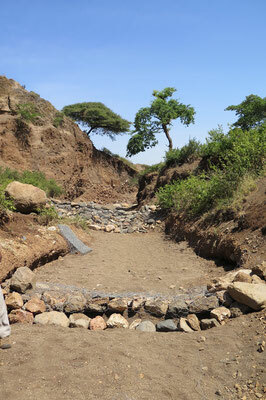 Check Dam: We enlarged the well working checkdams from last year to creat a flood plain. Much stones had to be carried, much soil to be dug out for strong fundaments. 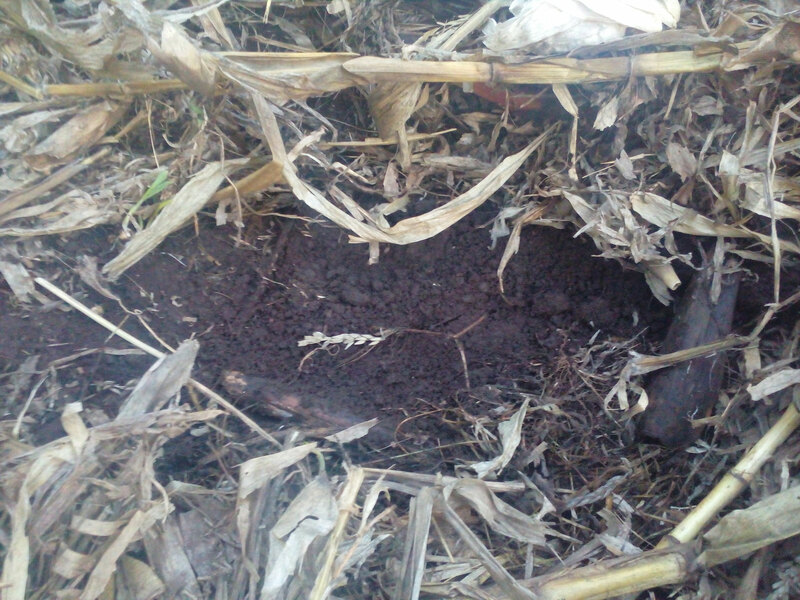 Within the the first following rain events, substantial amounts of sediments rich in organic matter have been accumulated. Now we can green the area with many beneficial plants! 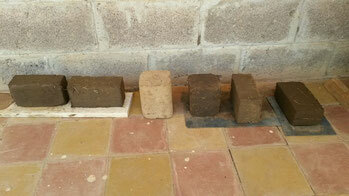 July and August 2016: We started to do more experiments on loam bricks. The best mixture of sand, silt and clay along with water and additional material like teff straw is worked out right now by Jana. Asfaw will produce some more bricks for the construction of a house, soon. 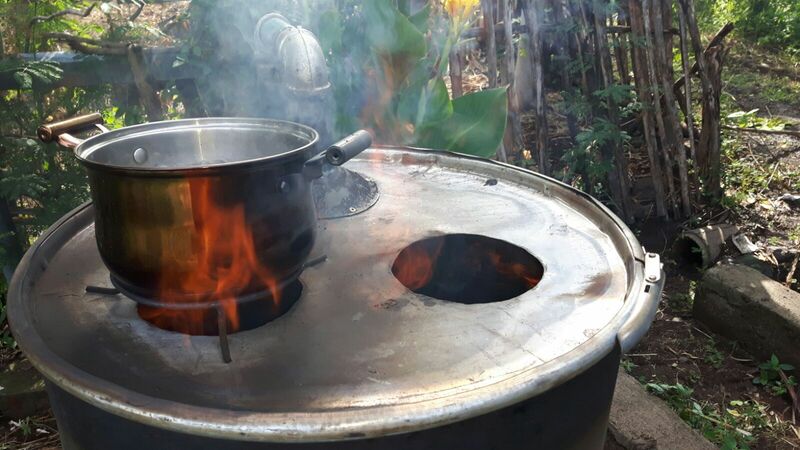 June 2016: Thomas is working on the construction of an improved wood gas stove from metal. 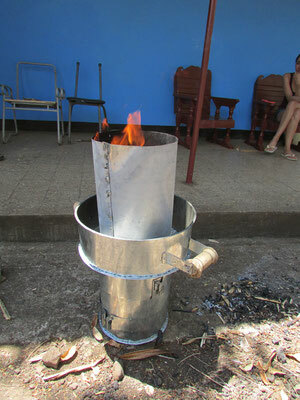 Along with a local metal worker a big stove was constructed, which works sufficient. 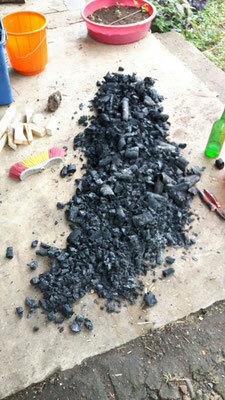 Experiments on using saw dust as a wood residue instead of wood are still running. 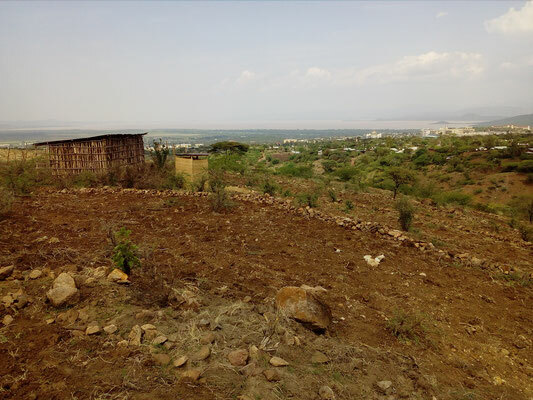 May 2016: The experimental area was set up in the compound of the Catholic Church in Arba Minch. 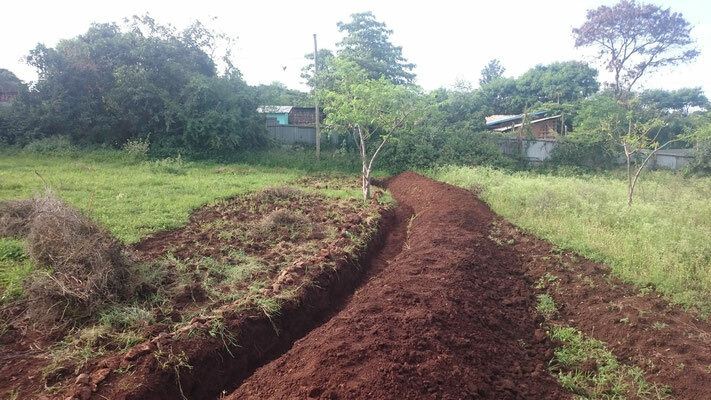 Trenches allow to retain water from stron rain events (up to 60mm in some hours) and infiltrate it into the soil. April 2016: The mission compound shall be turned into an experimental demonstration site for Slope Farming - with autark supply of agricultural goods! 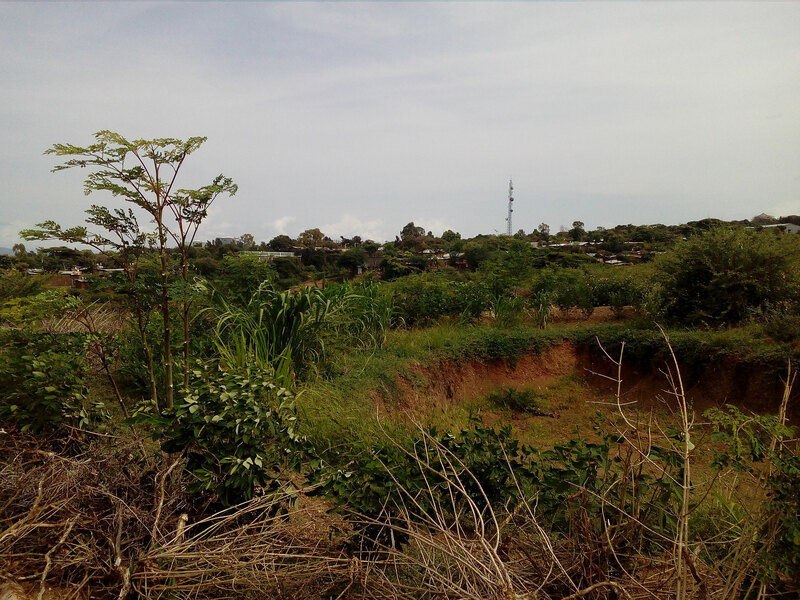 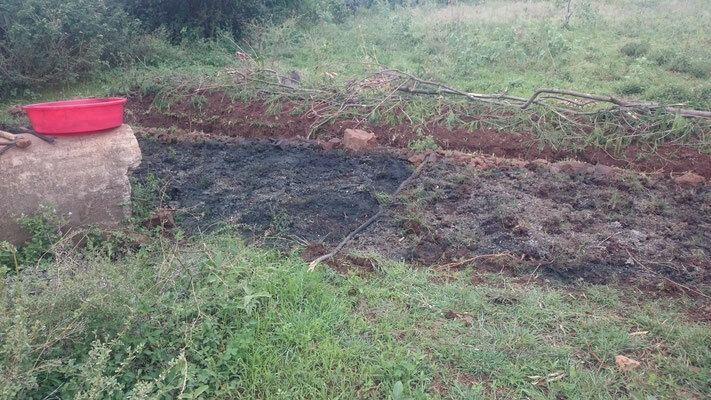 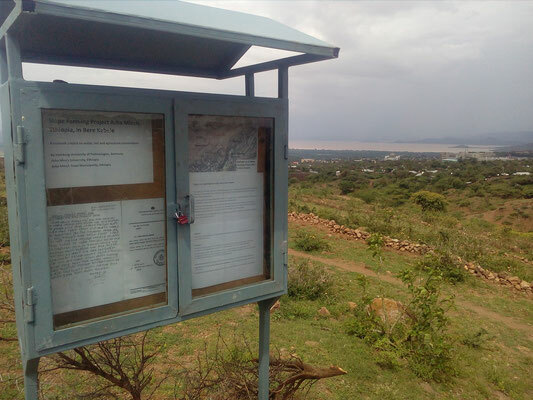 Therefore some measures were implemented: Rain Water Harvesting, Moringa plantings, living fences. 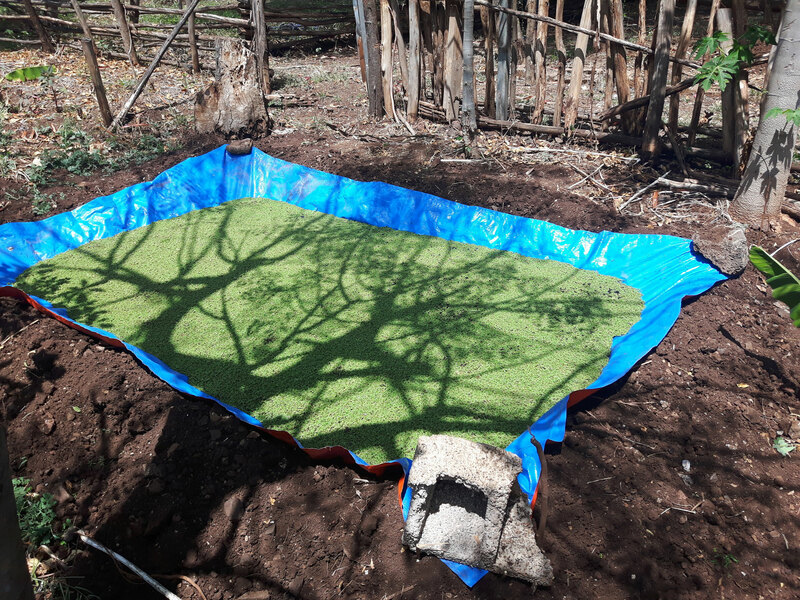 We created some useful tools for adapted management of the measures: Moringa seed harvester, Mason level and charcoal grinder! 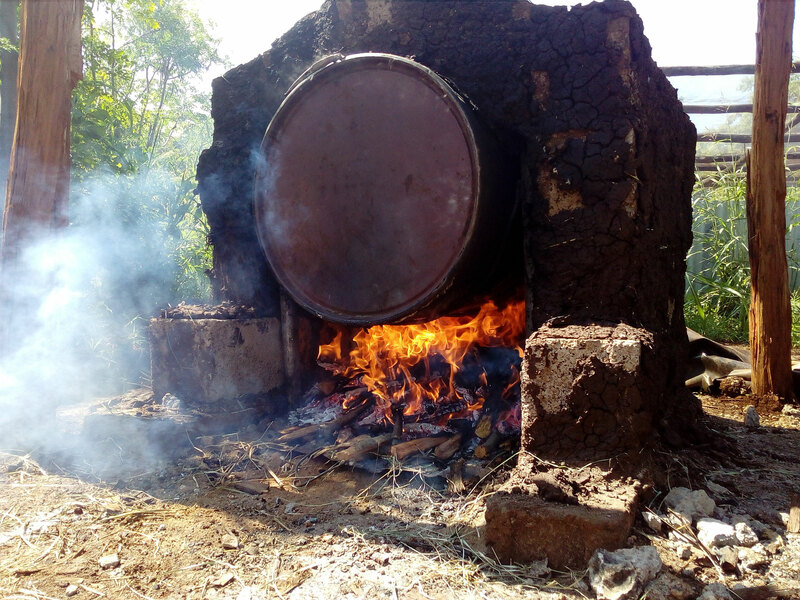 March 2016: Oliviero built a wood gas stove along with a local blacksmith! Pyrolysis is running good, but still too fast...producing charcoal WHILE you cook your dinner. Nice! March 2016: Congratulations to Stefan Hügel for his great project work on plant selection in course of our "Slope Farming Project"! 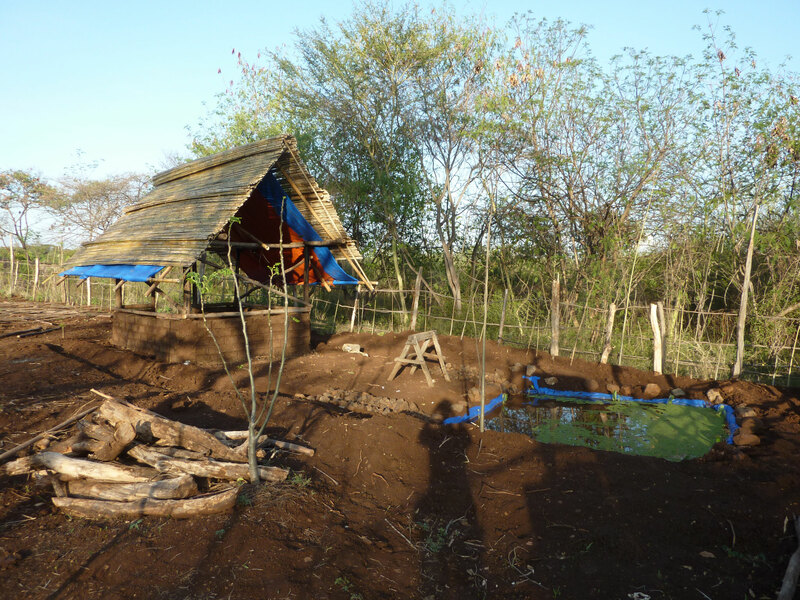 Februar 2016: Giovanni, with the help of Pauline, Oliviero and Carla, built some new check-dams to support the big check-dam. Water rushing in the erosion gully is to be slowed down. 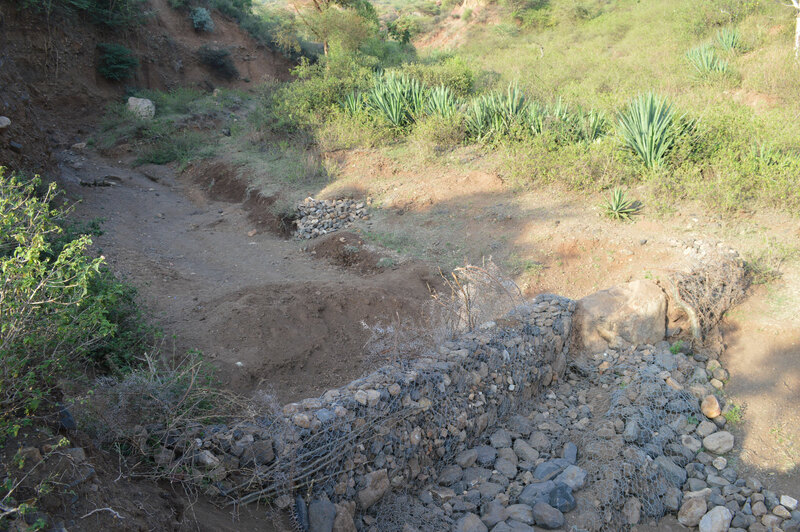 This way our main check-dam can be protected efficiently. December 2015: Due to the weather phenomenon "El Nino" this years rainy season was unpredictable - even less than before. 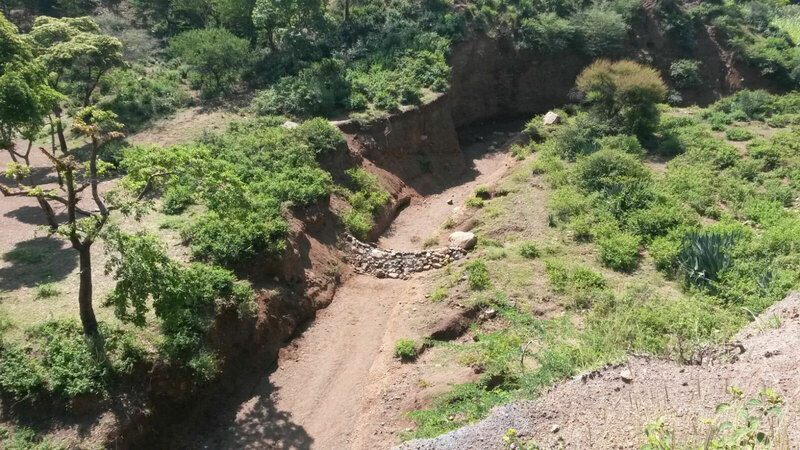 Heavy, erratic rain falls destroyed our established check-dams. 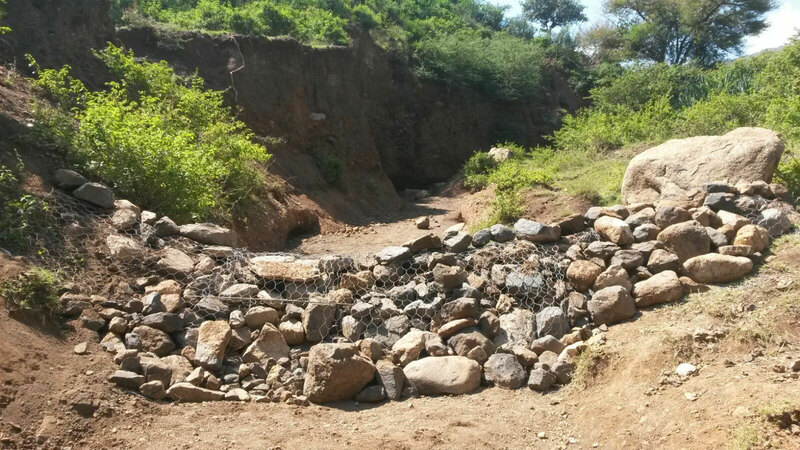 Stones of more than a couple of 100kg were washed away. 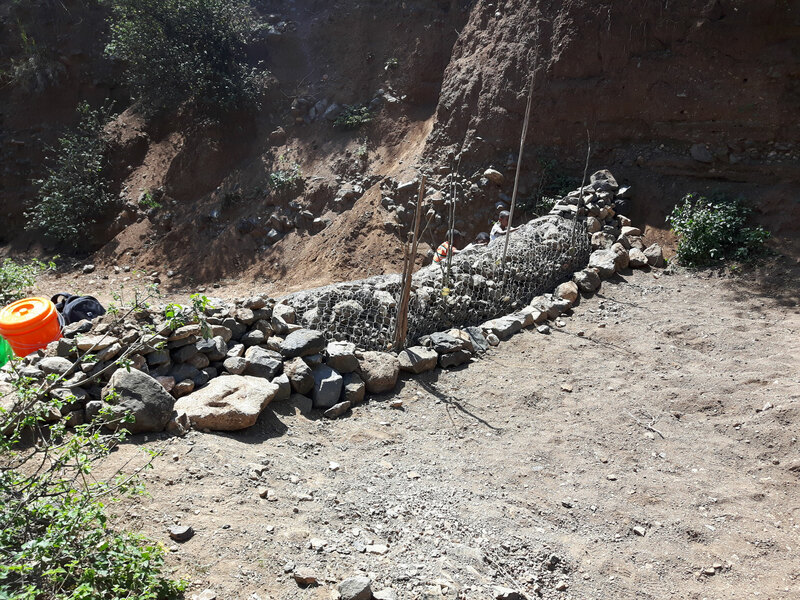 So Giovanni, with the help of Alessandro, constructed an improved check-dam, which should be able to sustain even that heavy floods. 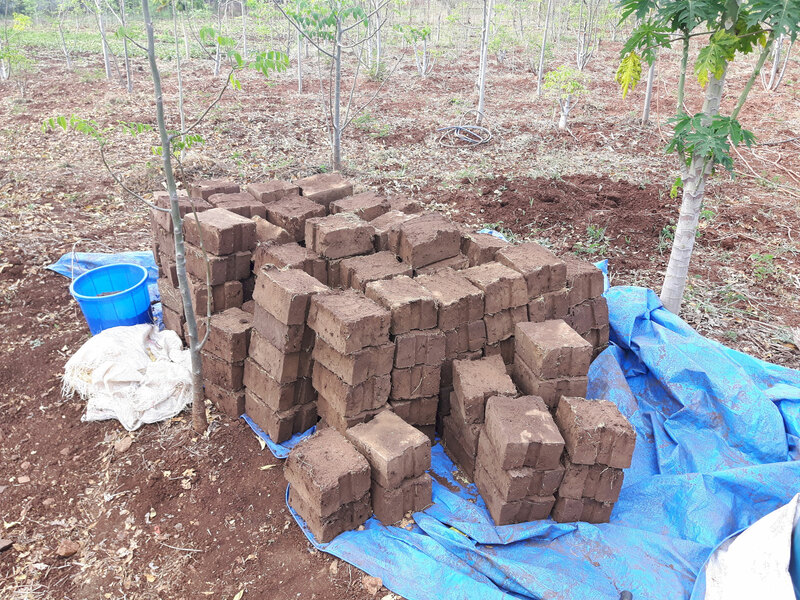 December 2015: For an alternative housing construction with local materials, Melina managed to produce some loam bricks. 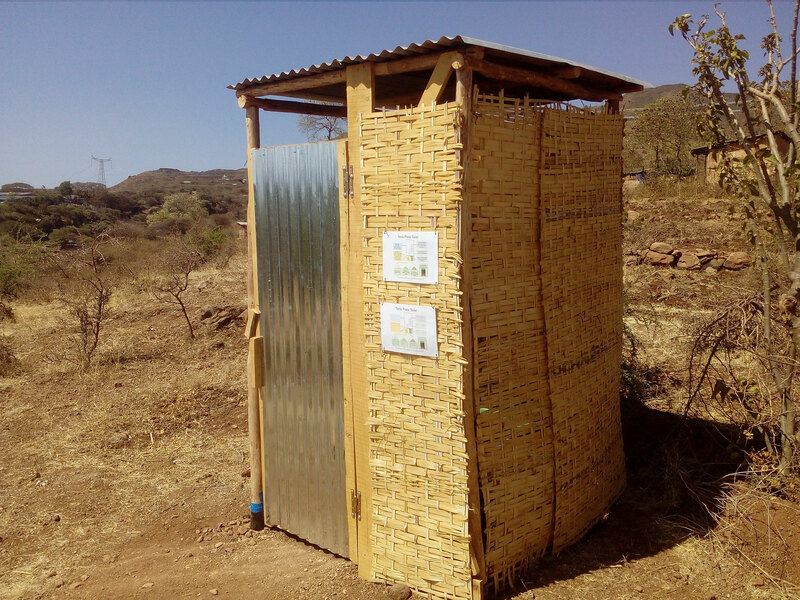 These are now tested back in Hamburg for their suitability for construction. 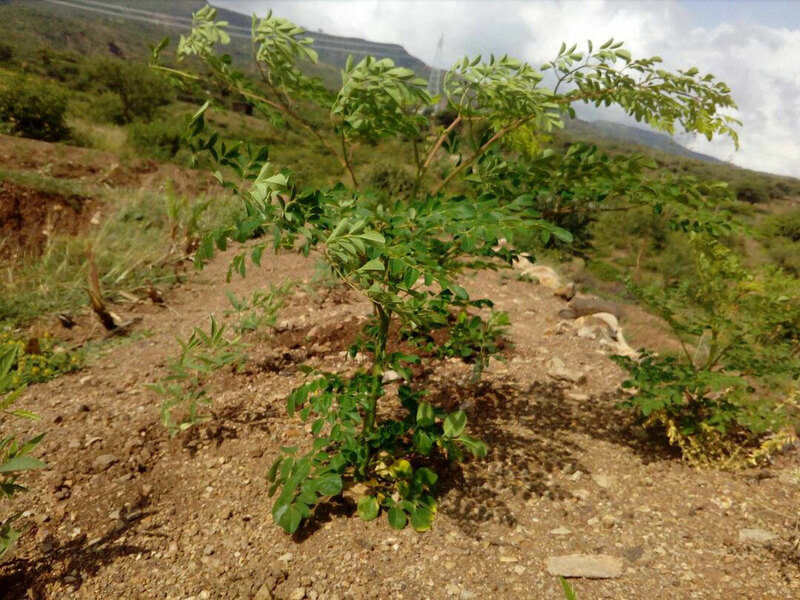 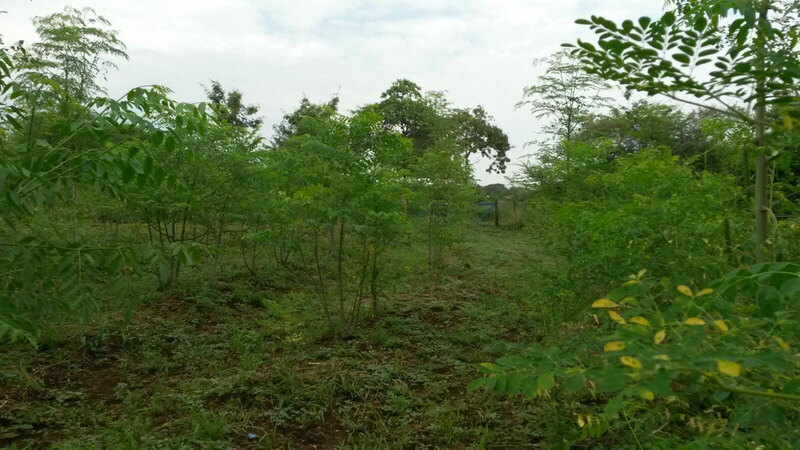 December 2015: Due to plenty of rain fall, the Moringa trees in our tree nursery are doing good! The largest trees are already 4,5m - half a year after their sowing! The plants sown in the extension of the tree nursery also germinated! 15.11.2015: Giovanni is coming to Arba Minch for watershed management and implementation of Rain Water Harvesting measures in the project site! 06.11.2015: Alessandro is joining the team and arrives in Arba Minch to conduct his work on a hydroseeding system! 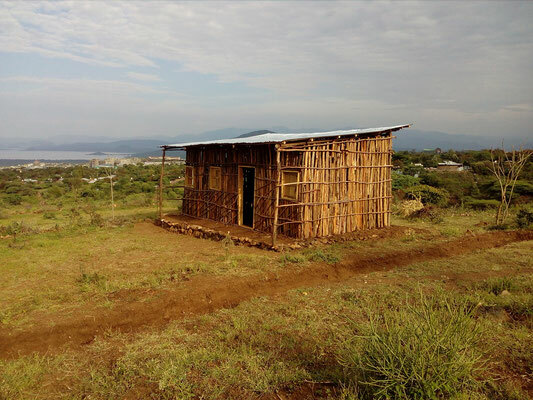 16.10.2015: Melina made here way safely to Arba Minch and starts her work on a concept for alternative housing construction with local materials and waste products! 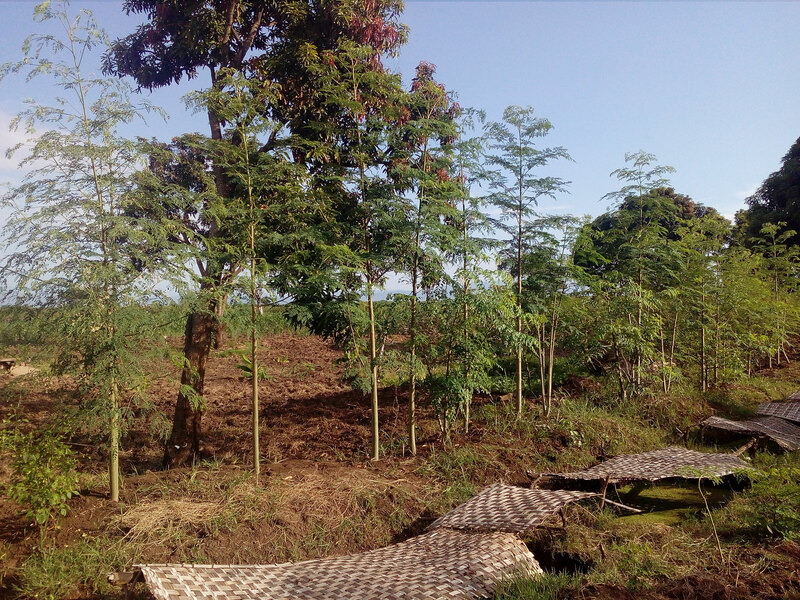 10.09.2015: Stefan, Claas and Asfaw are working on the extension of the tree nursery "Moringa Fields"...for many more Moringas!